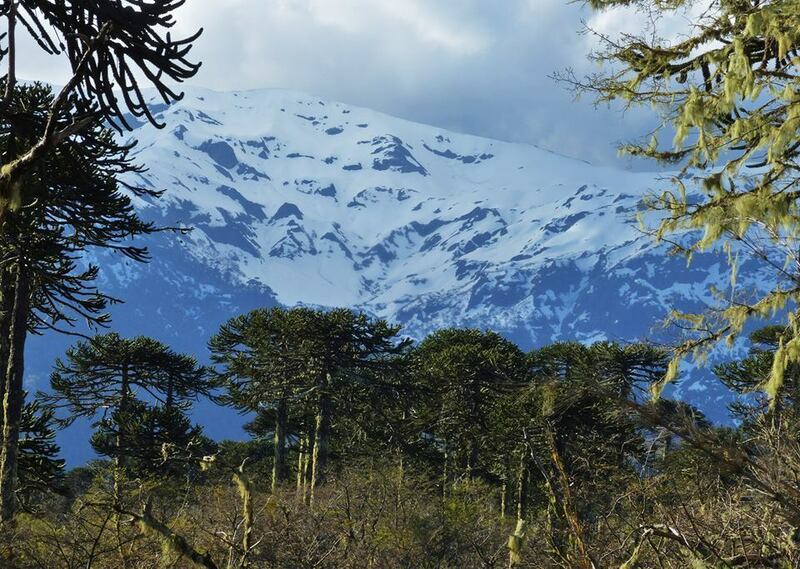 Chile. 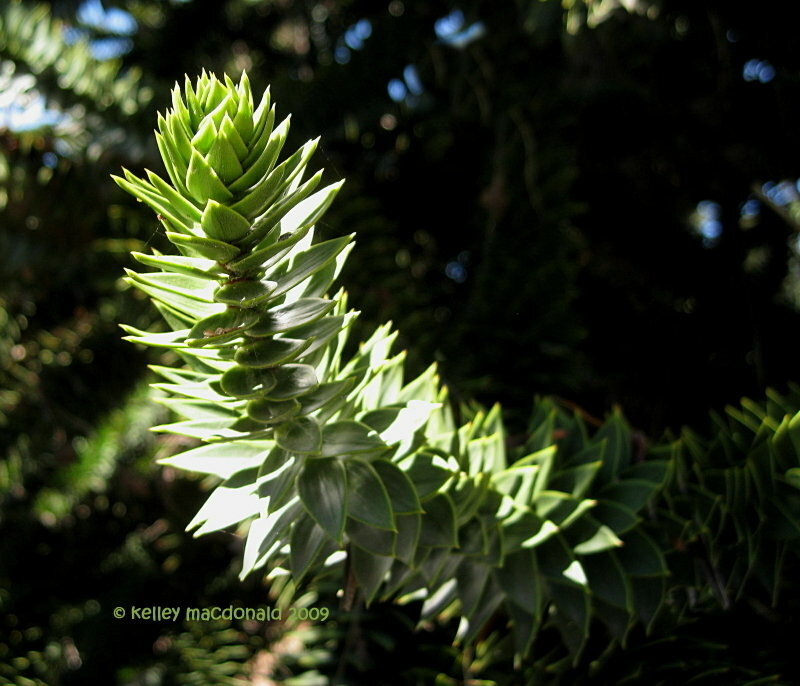 Photo courtesy of; copyright of Jan Emming of Destination:Forever Ranch and Gardens, a 40 acre desert botanical garden/sustainable living homestead in Arizona. 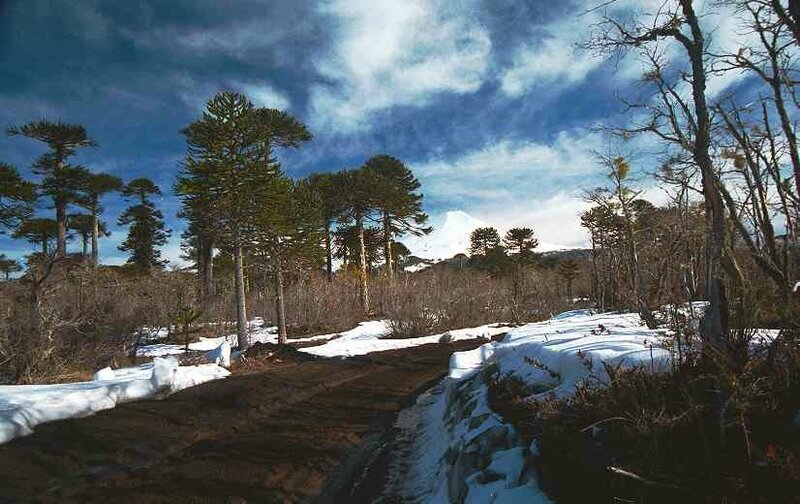 Conguillio National Park, Chile. 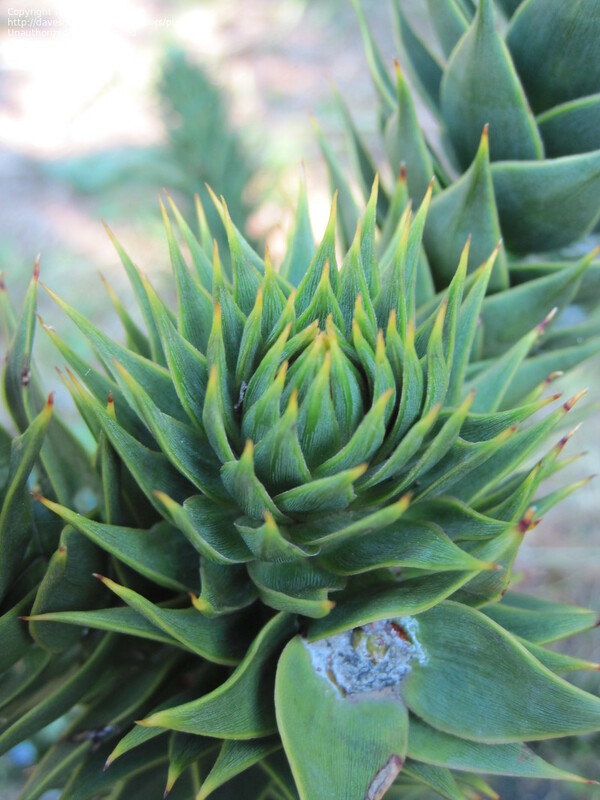 Photo courtesy of; copyright of Jan Emming of Destination:Forever Ranch and Gardens, a 40 acre desert botanical garden/sustainable living homestead in Arizona. 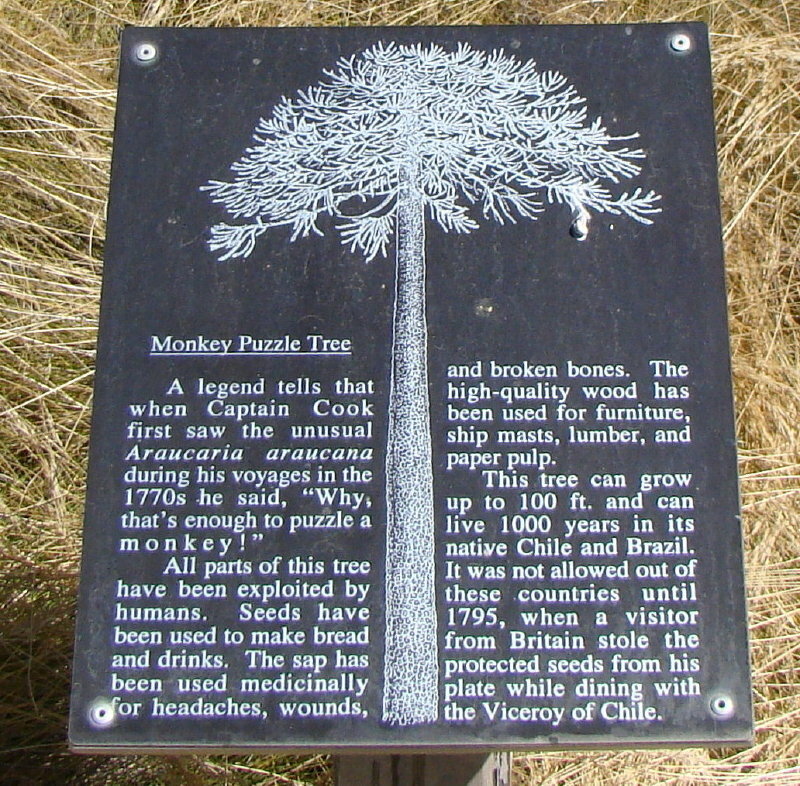 Information at UC Berkeley Botanical Gardens in California. 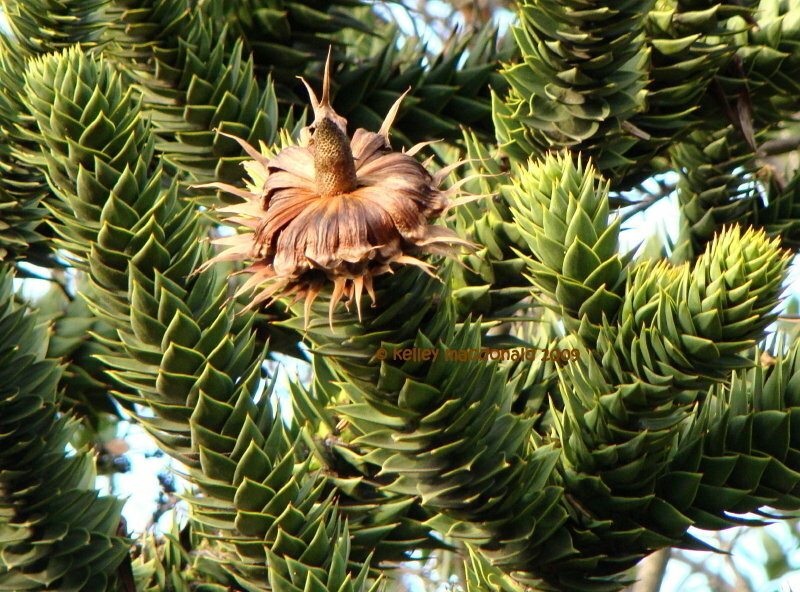 Picture taken at Powerscourt, Co. Wicklow Ireland. 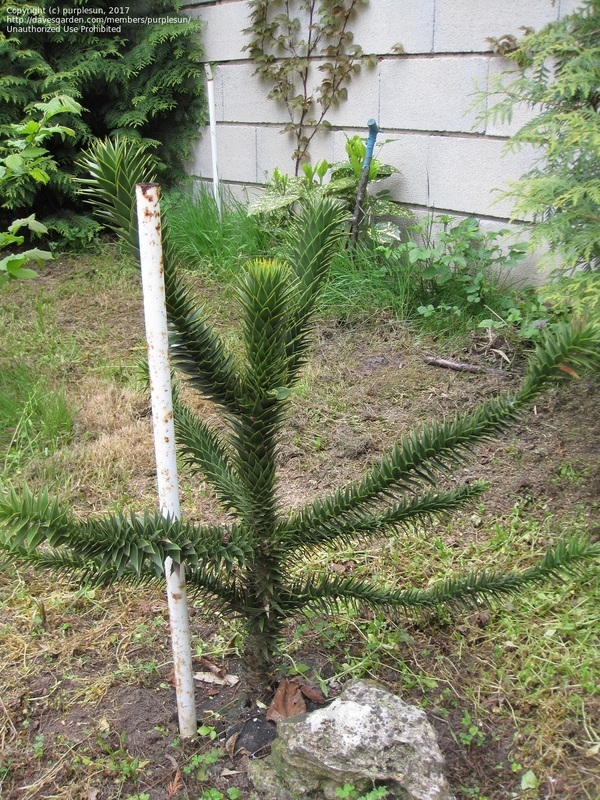 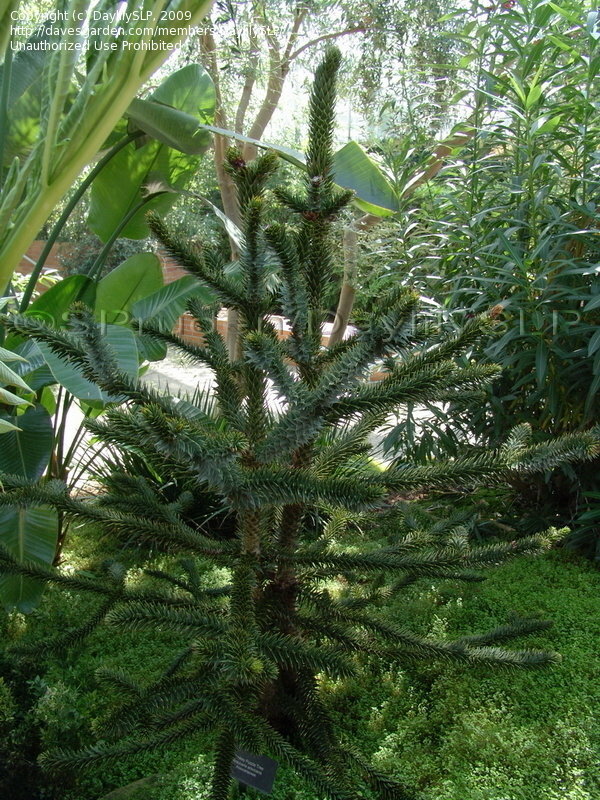 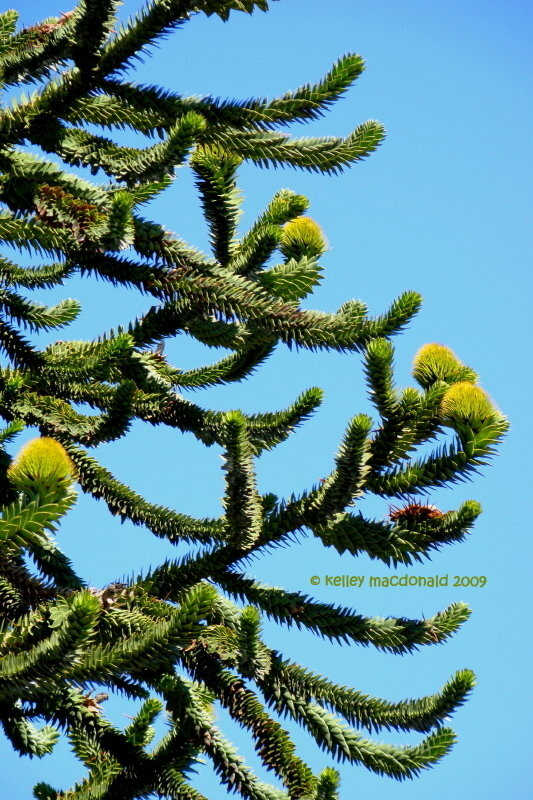 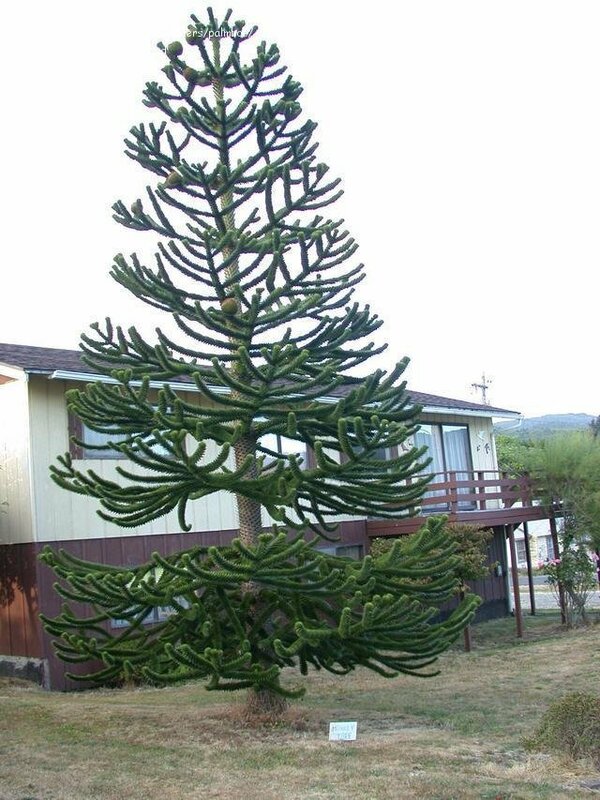 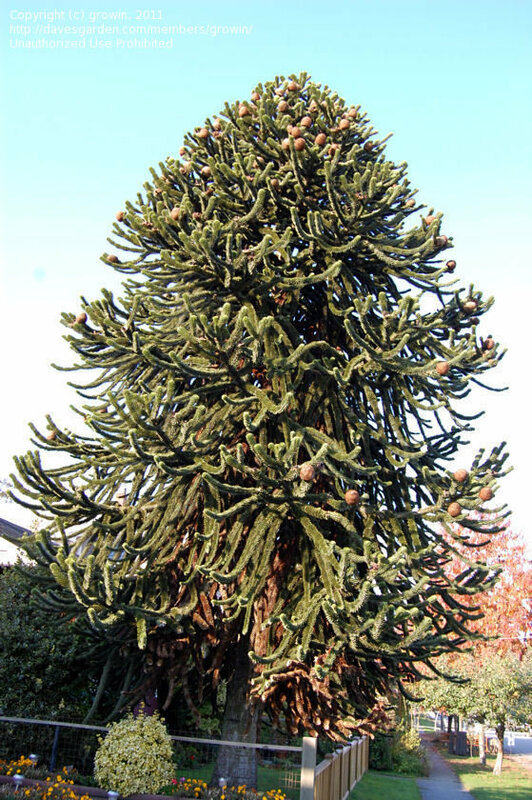 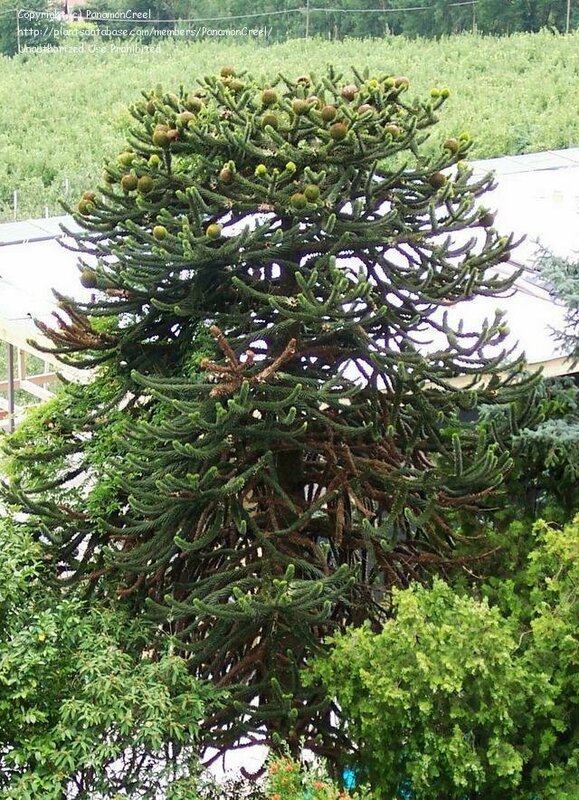 Monkey Puzzle Tree, about 90 + yrs old when we bought this house. 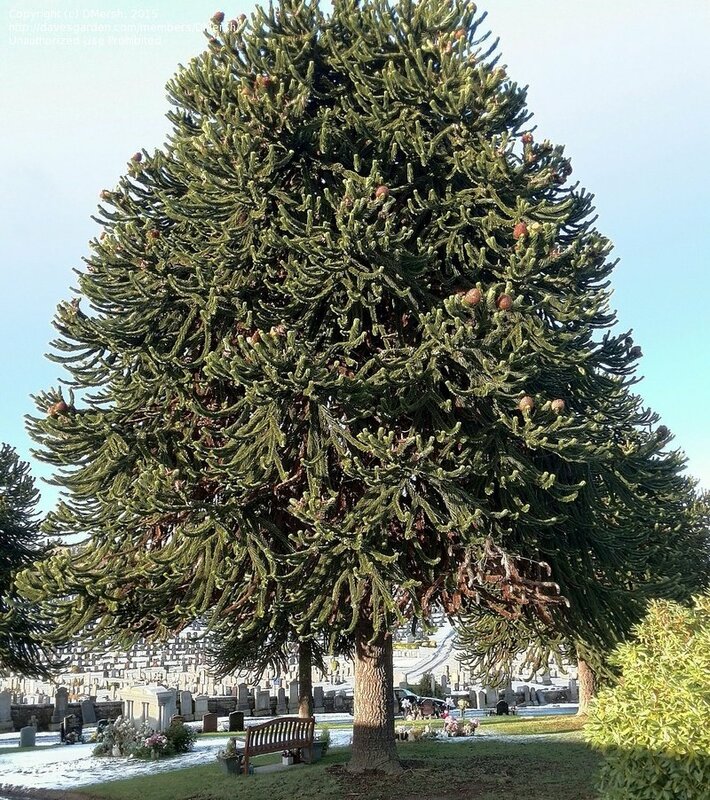 We had to trim off the lower branches. 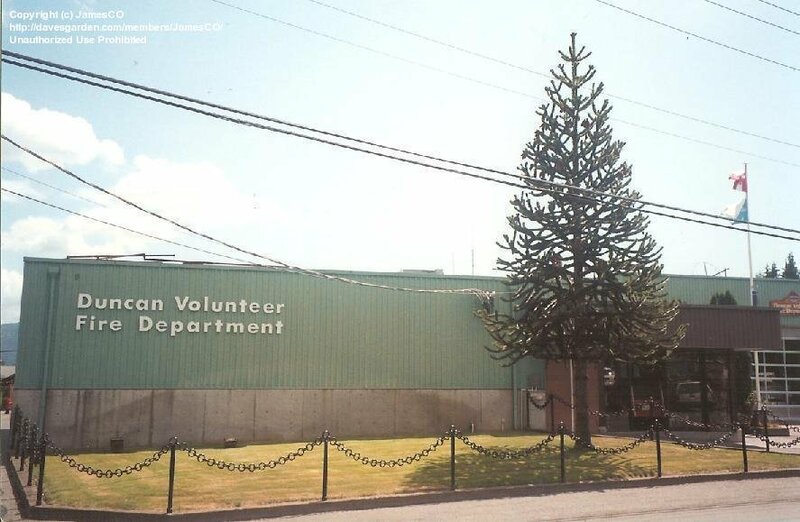 That is; Duncan, (Vancouver Island) Canada. 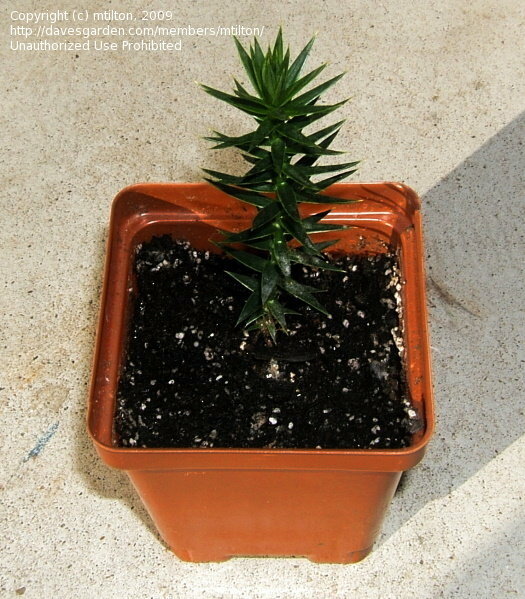 awesome form. 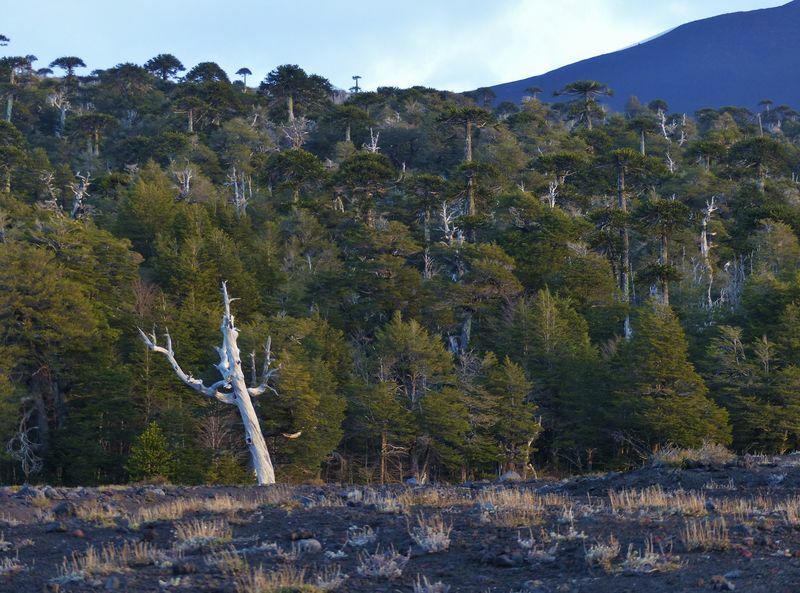 Going to see a volcano! 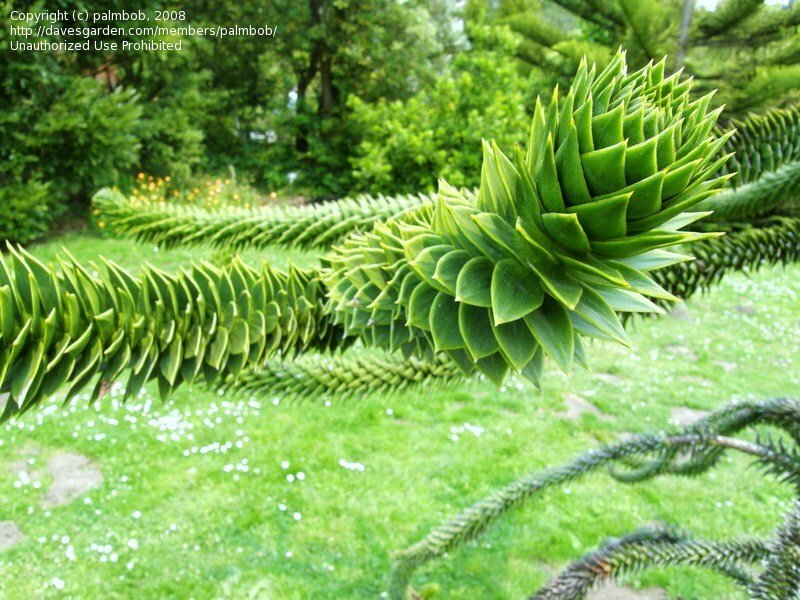 They just grow everywhere! 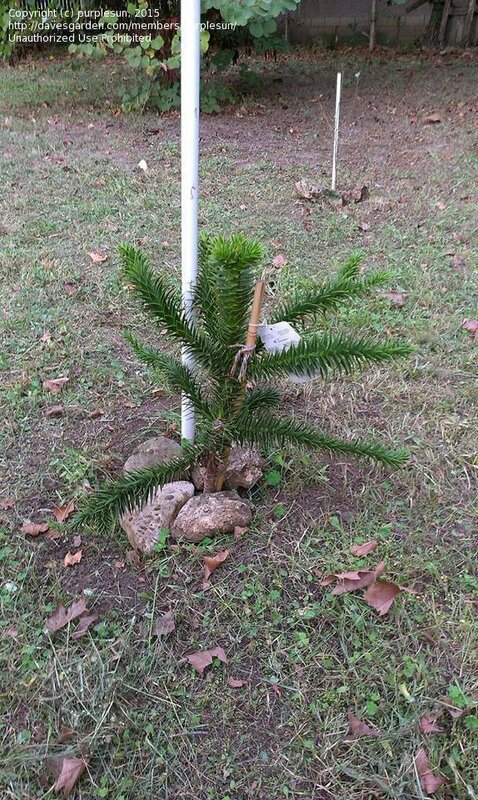 I can't remember the elevation of this site. 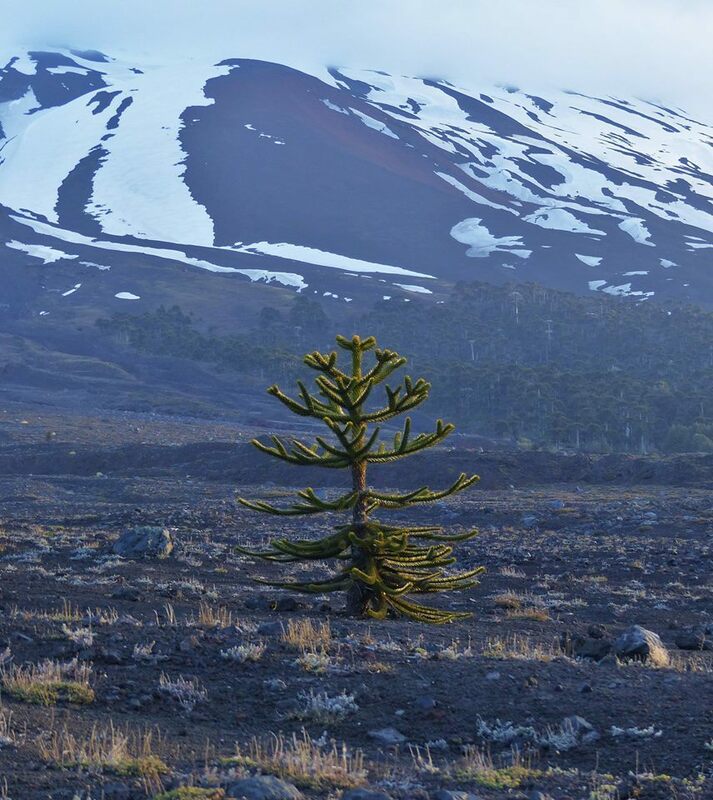 That peak is a volcano. 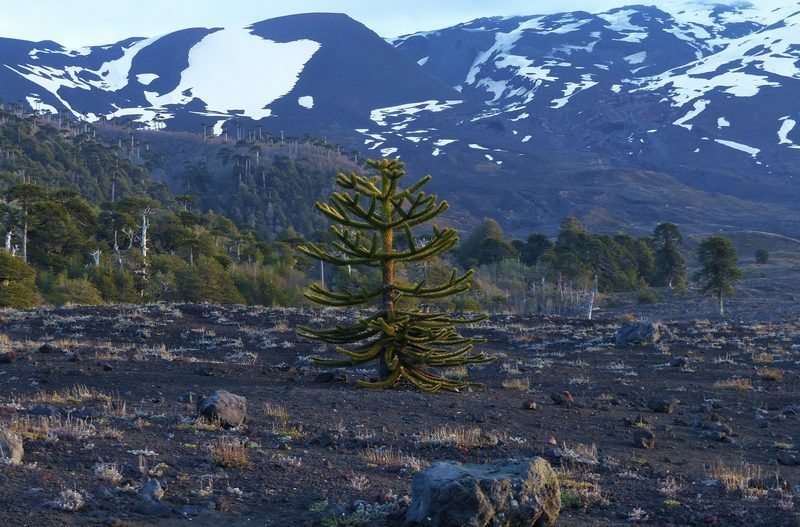 It's called Lanin. 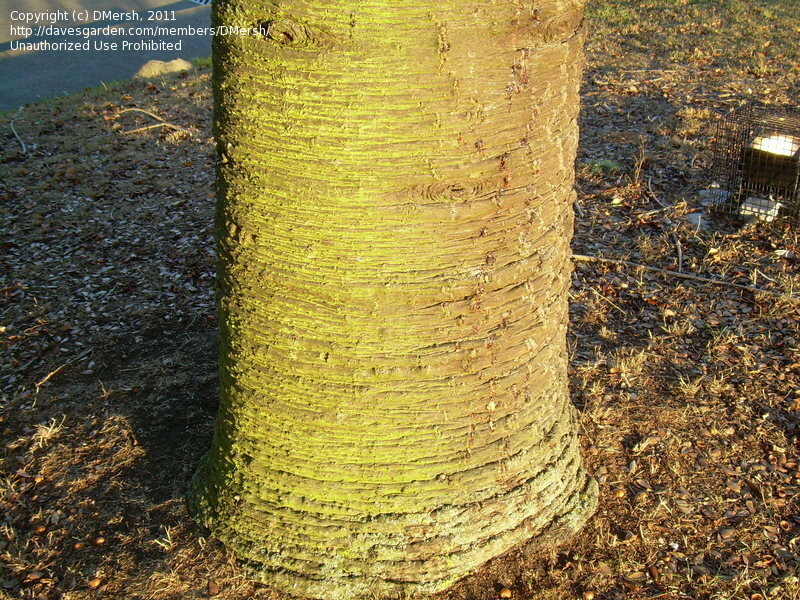 A close look to the trunk. 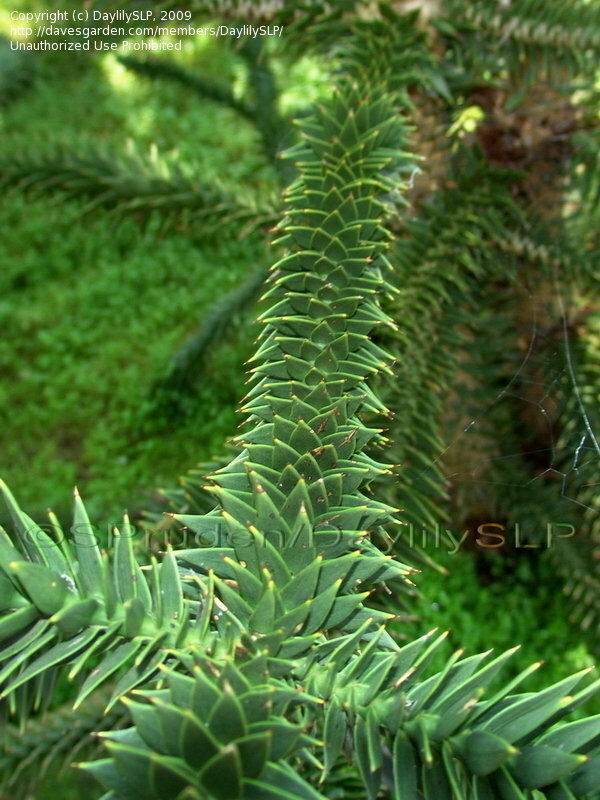 A close look to the leaves. 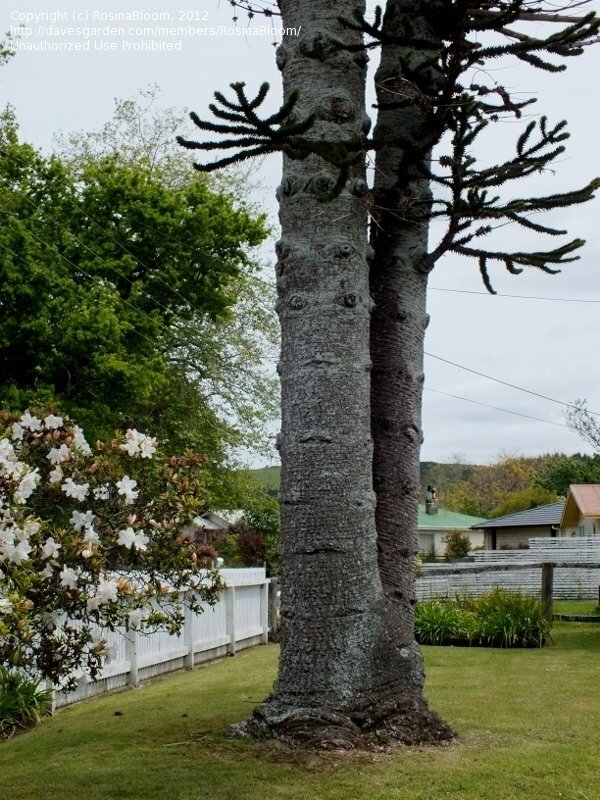 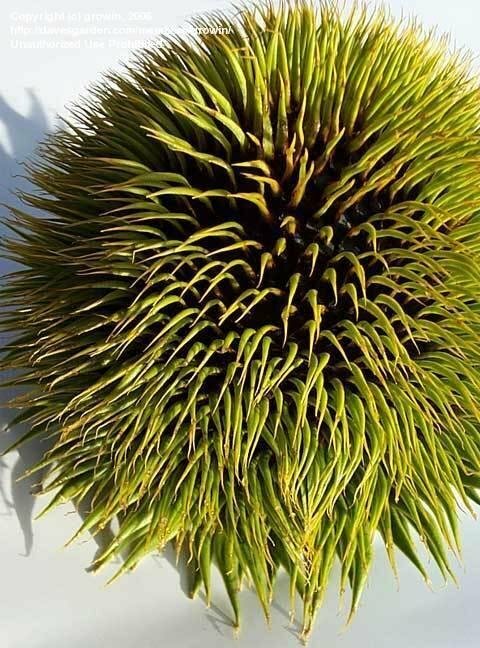 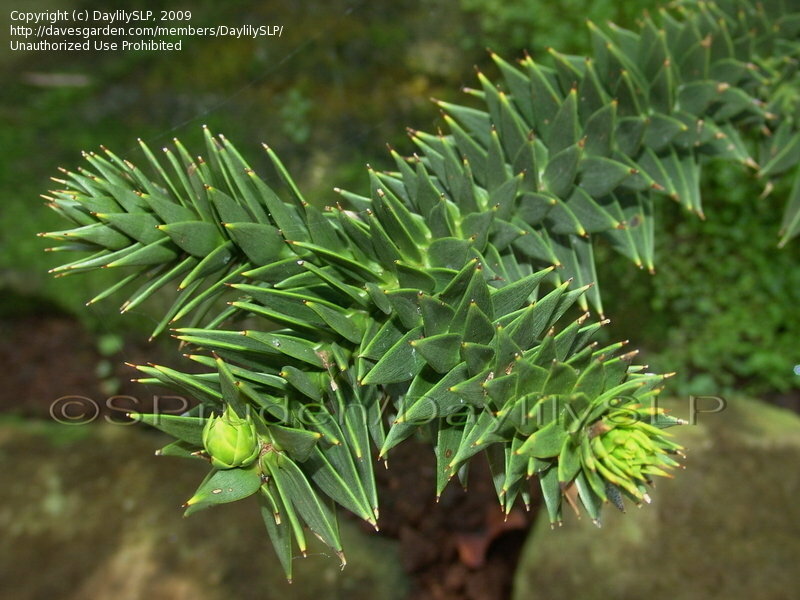 Pinyons of two different specie. 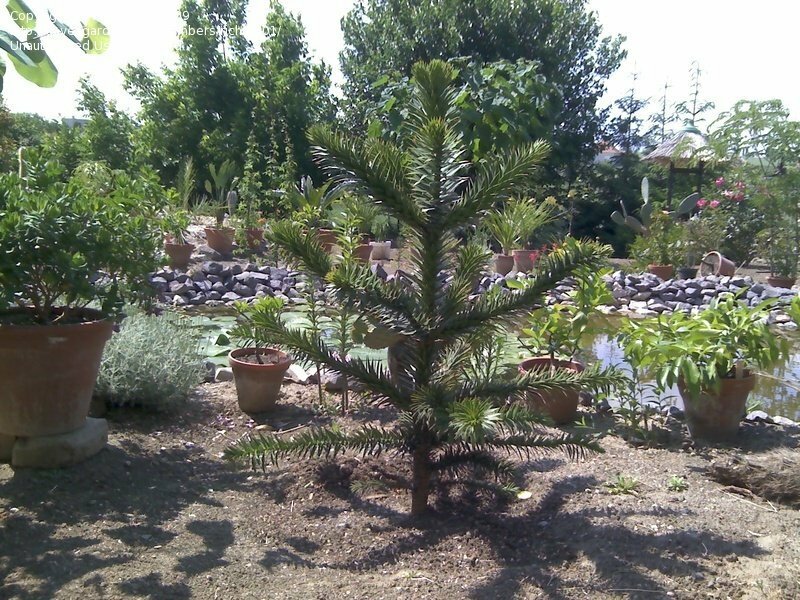 A. angustifolia on the left (S. A. de Padua, Bs. 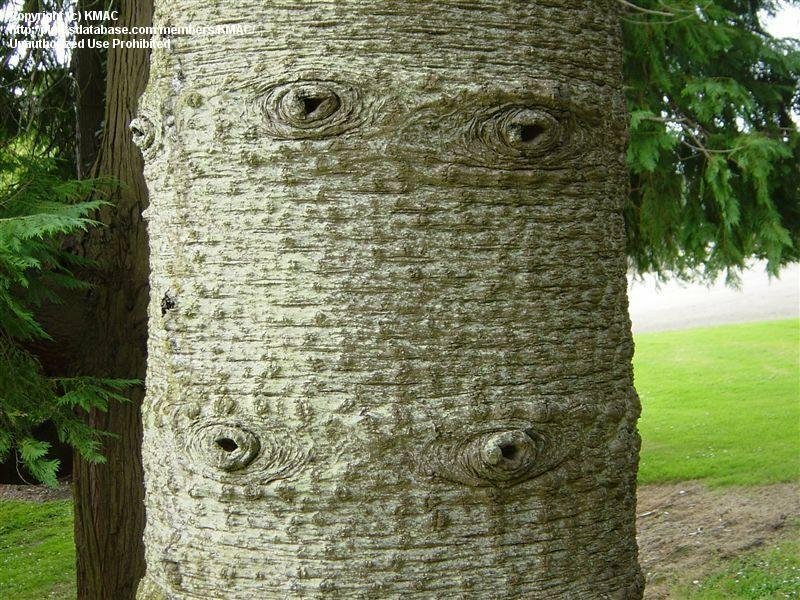 As. 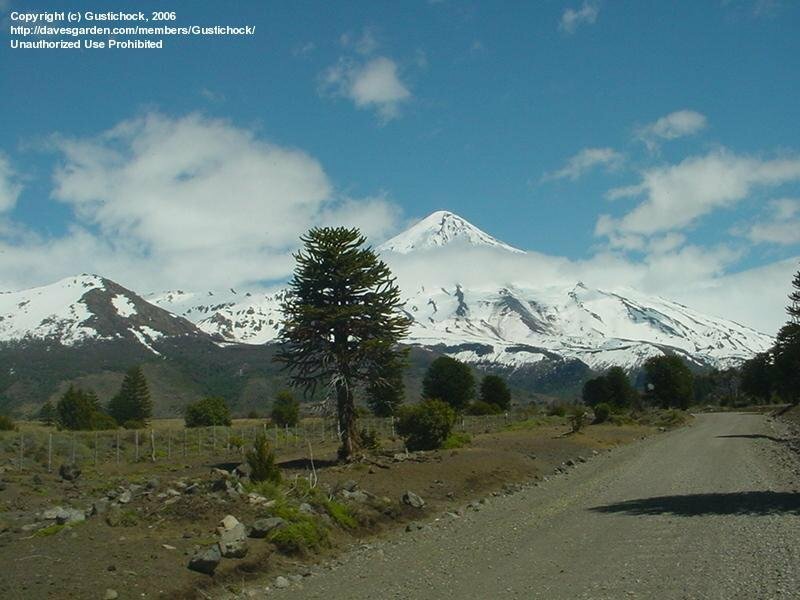 Argentina) and A. araucana on the right (Neuquén, Patagonia Argentina). 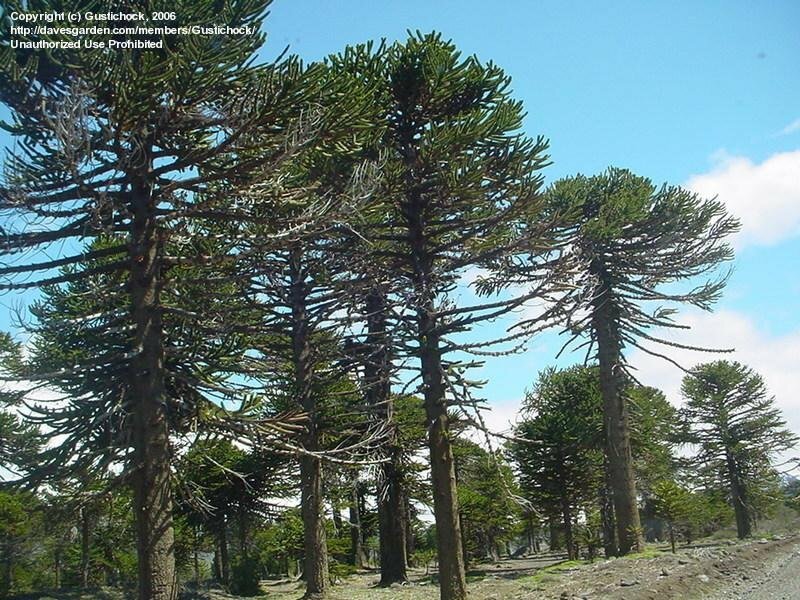 Tandil, Buenos Aires, Argentina. 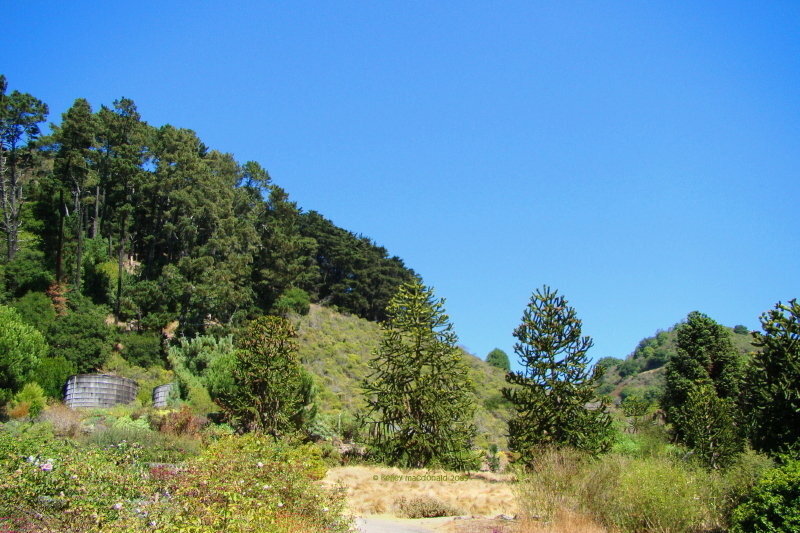 January 2007 (summer). 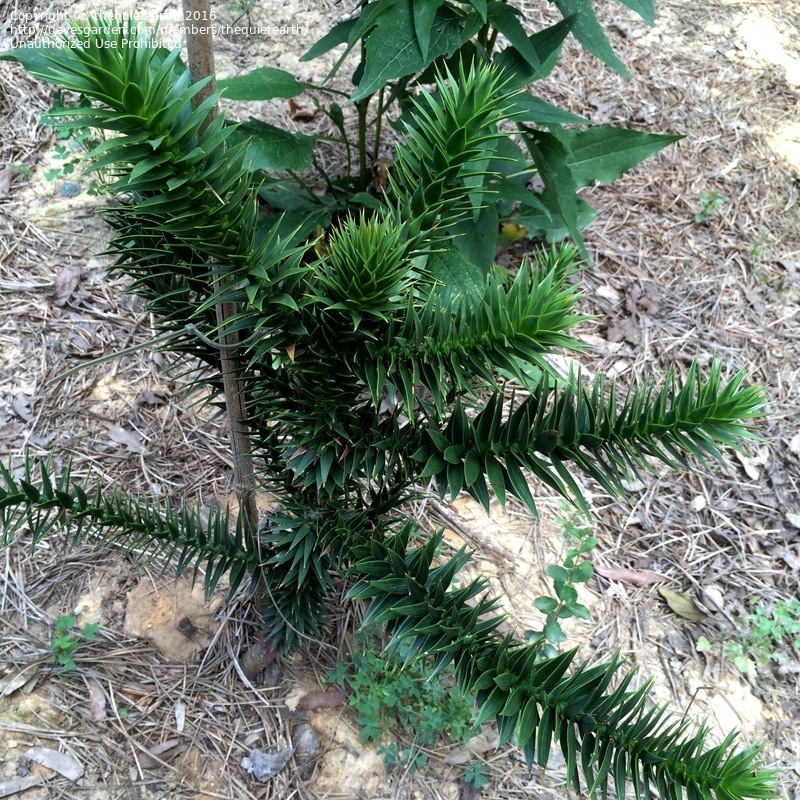 Small tree growing in the front porch of a house. 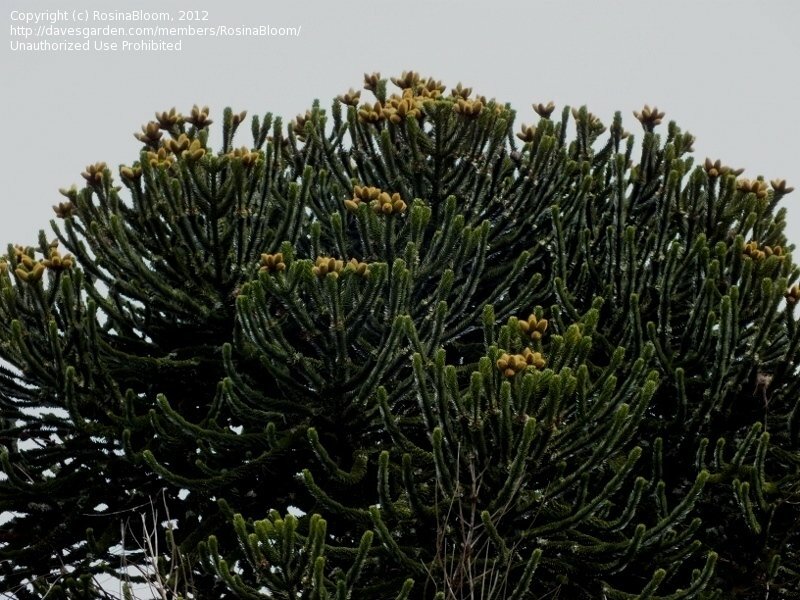 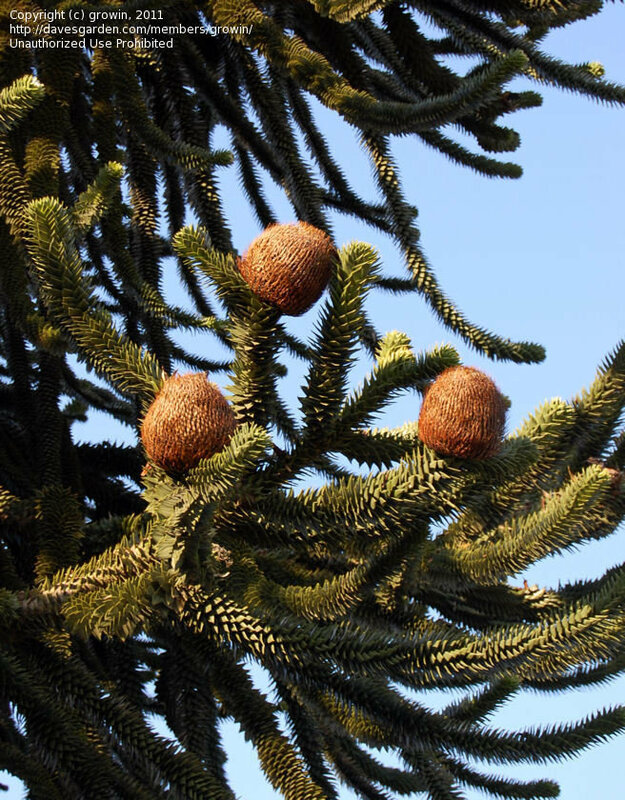 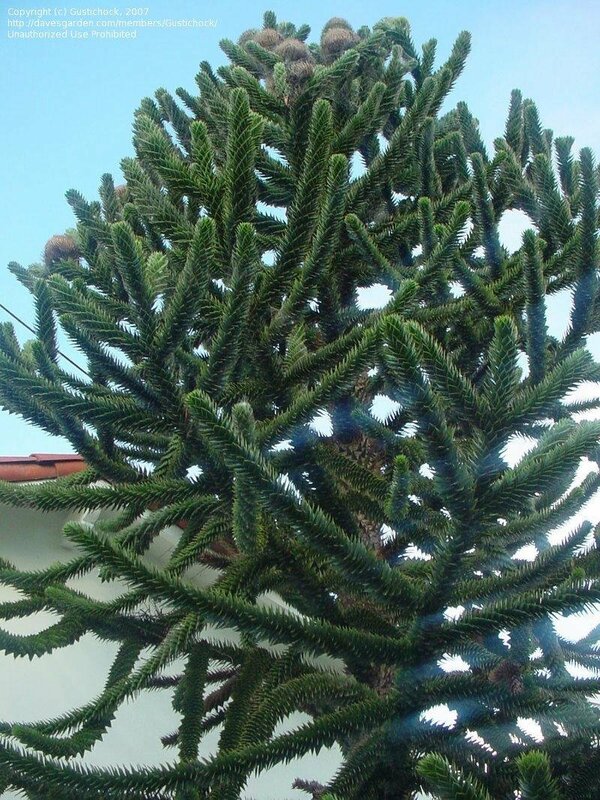 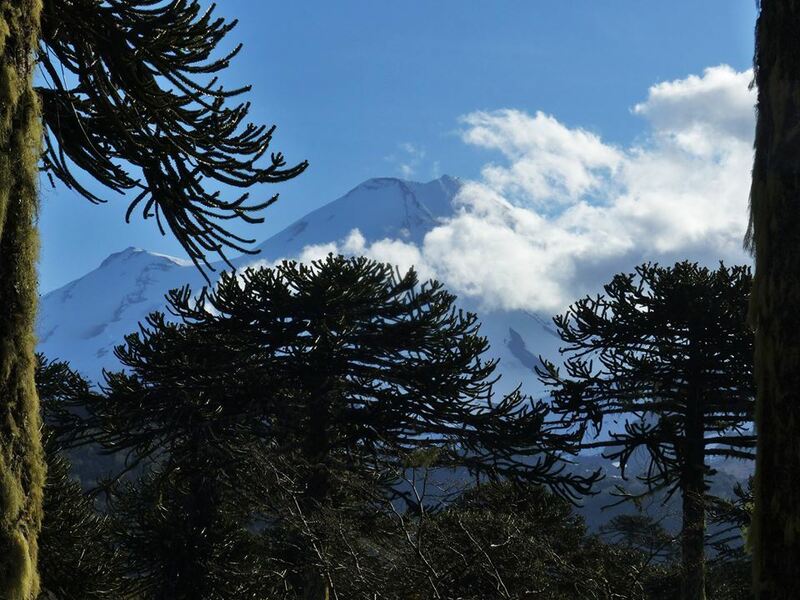 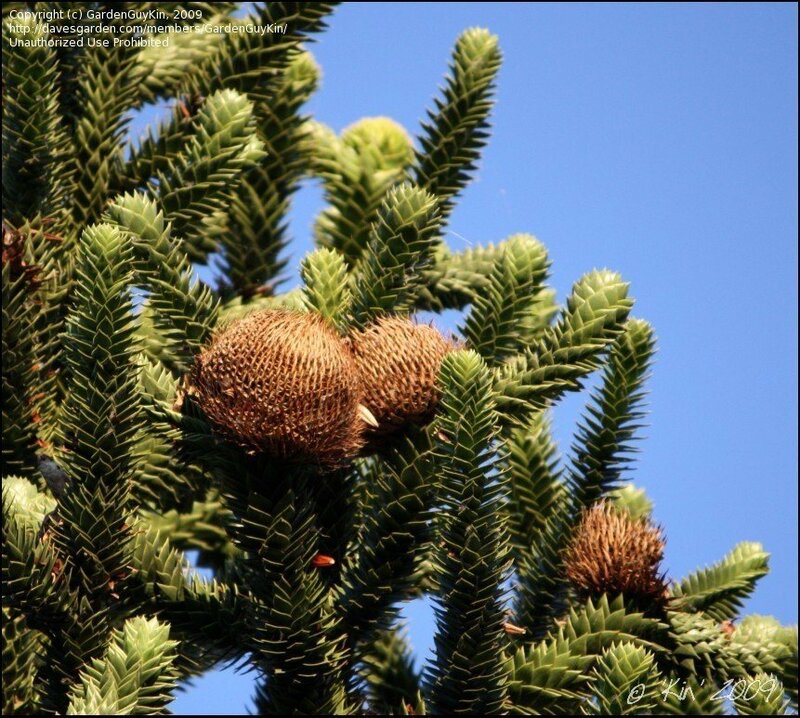 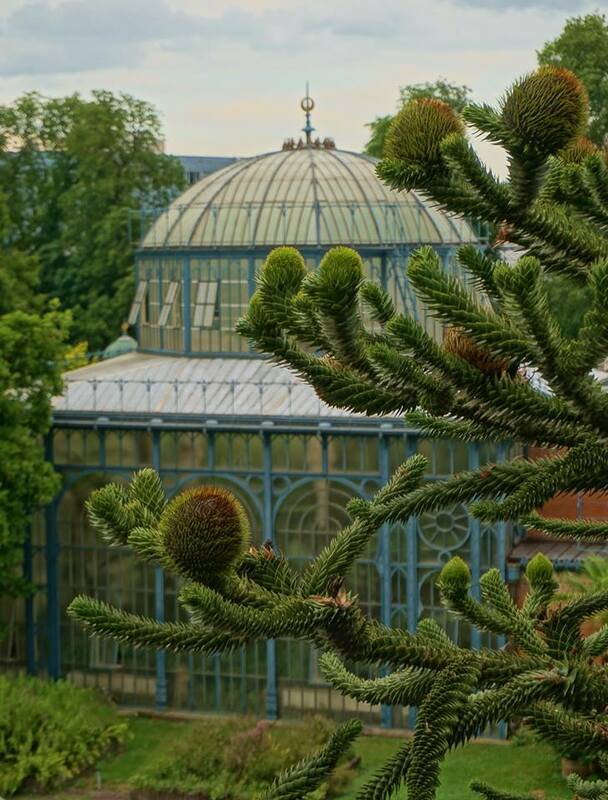 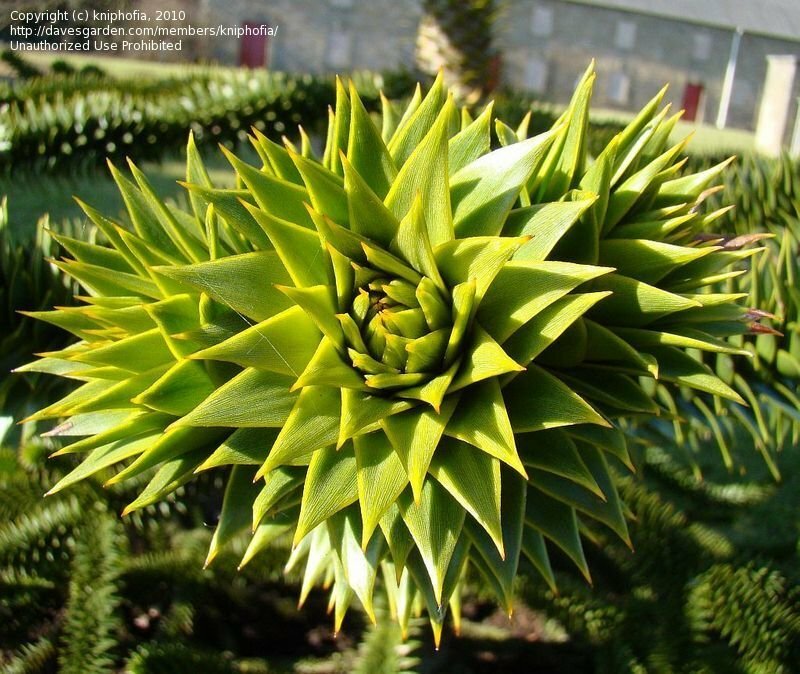 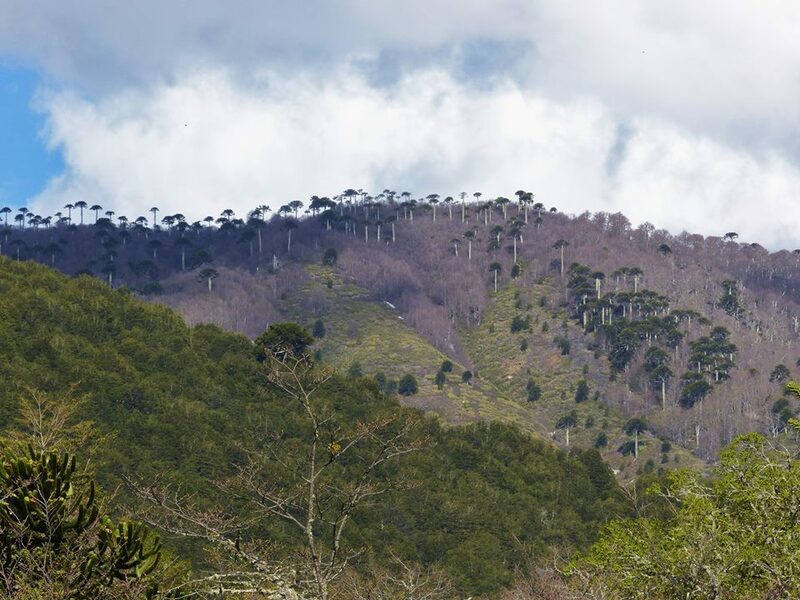 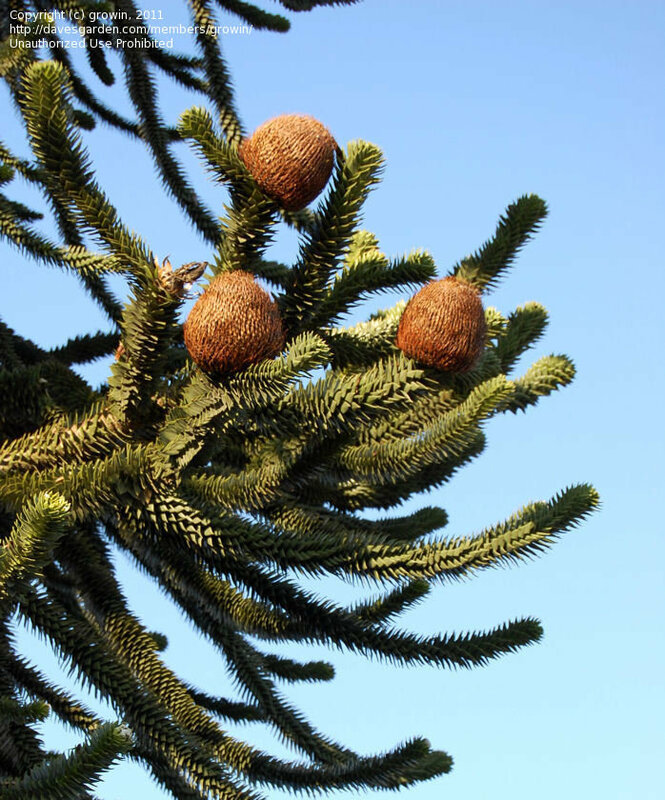 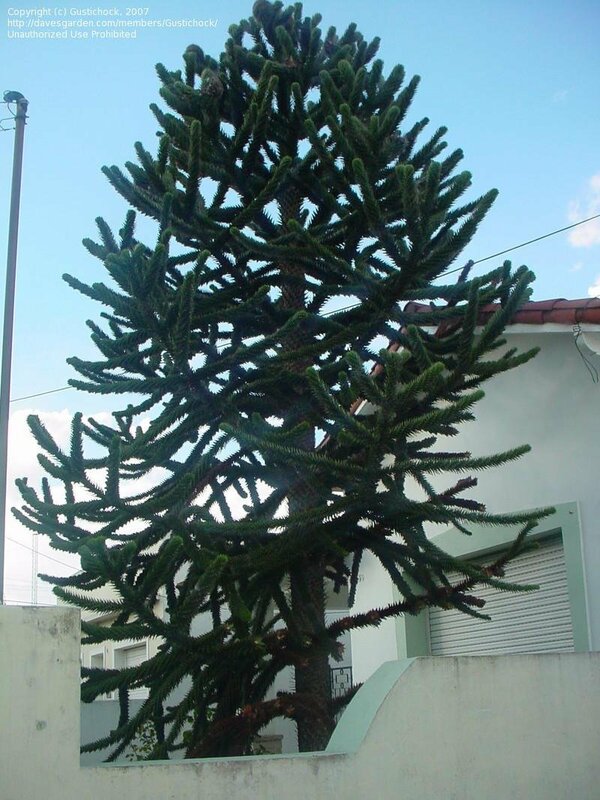 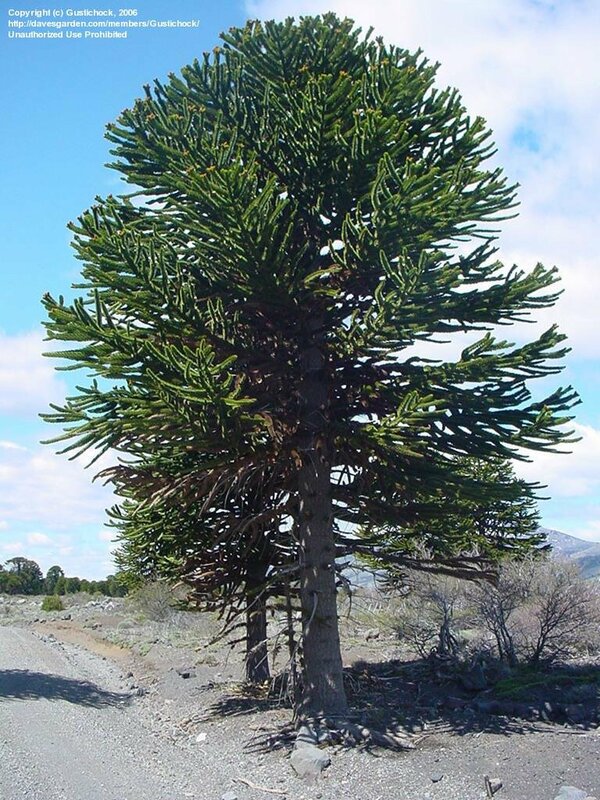 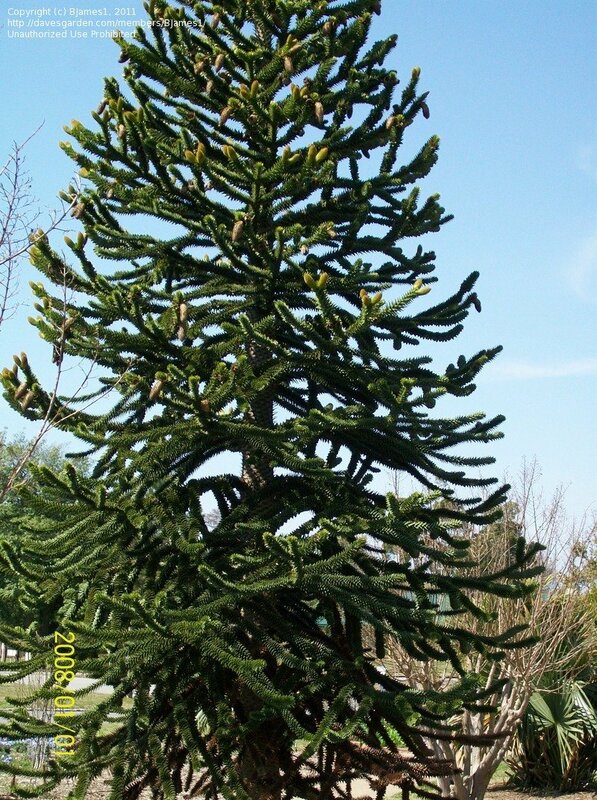 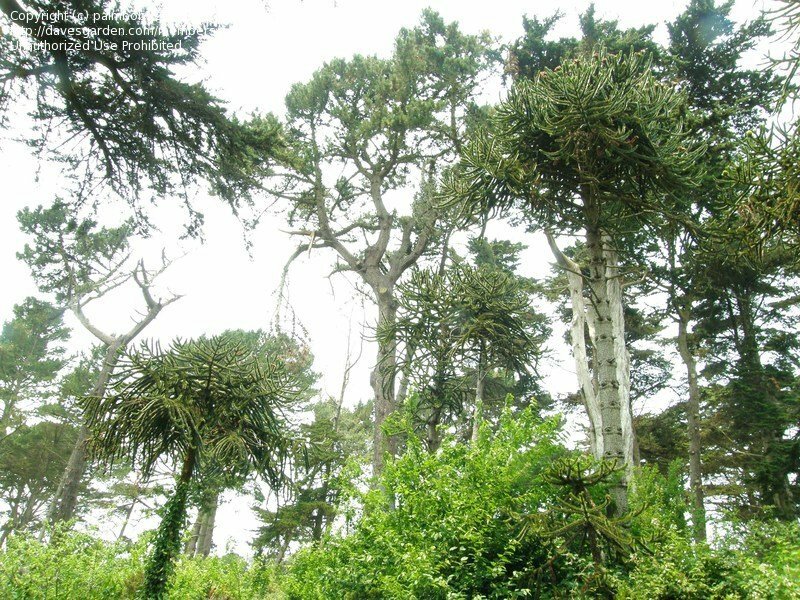 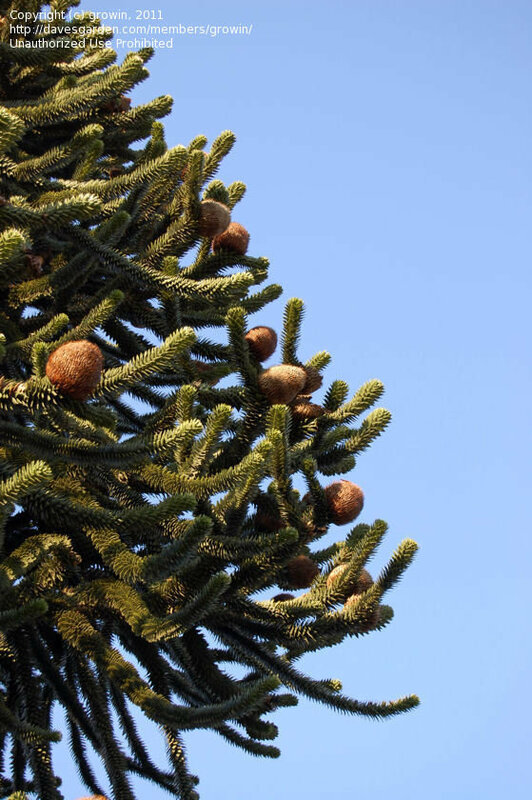 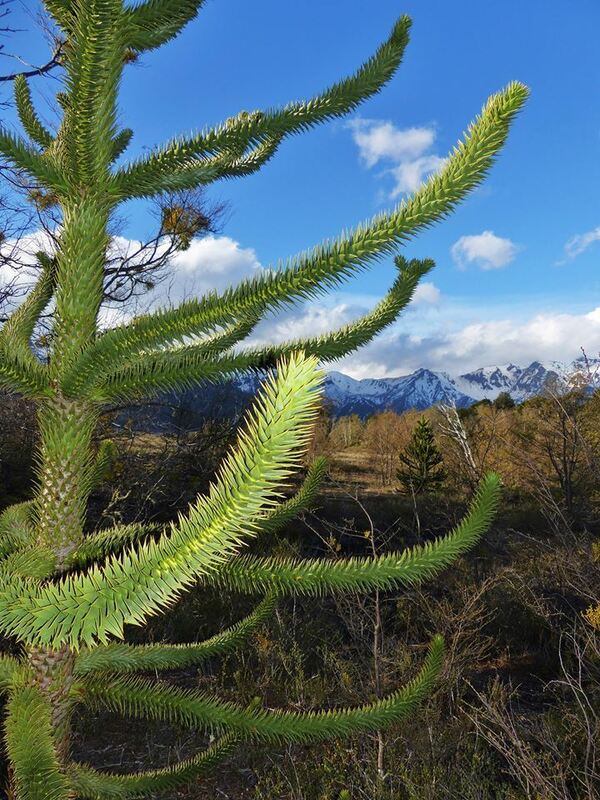 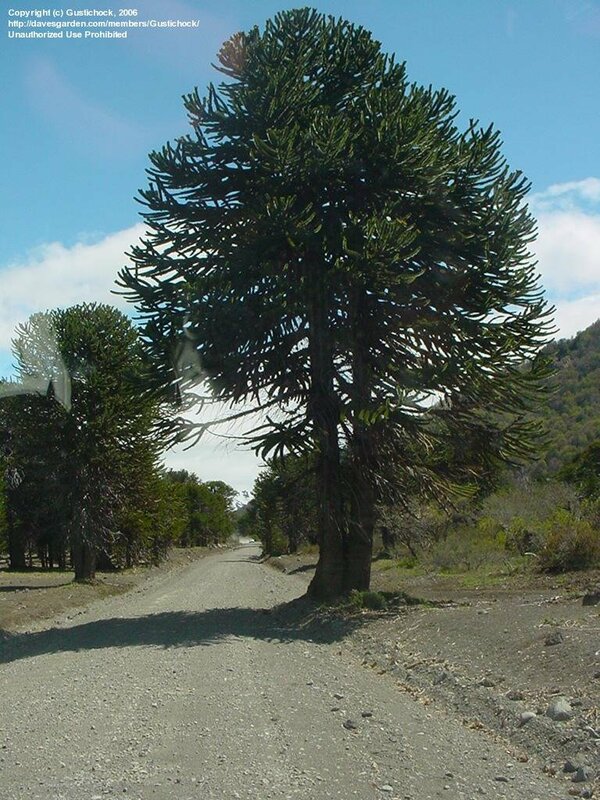 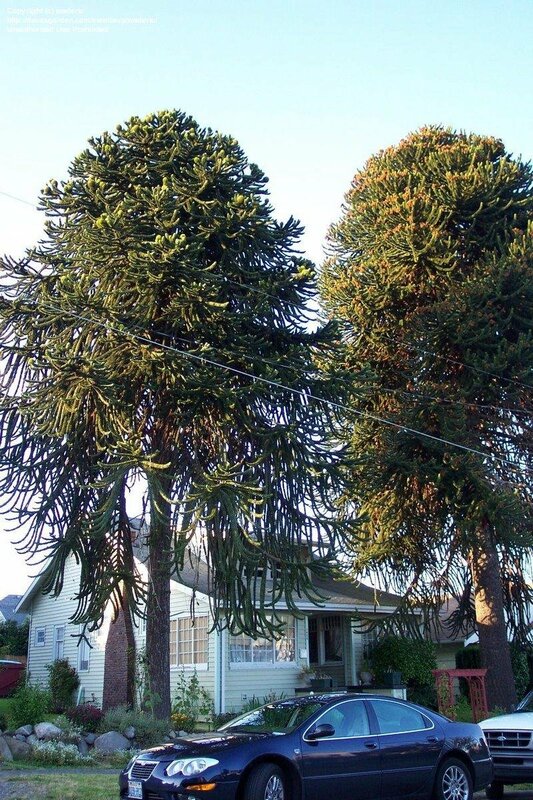 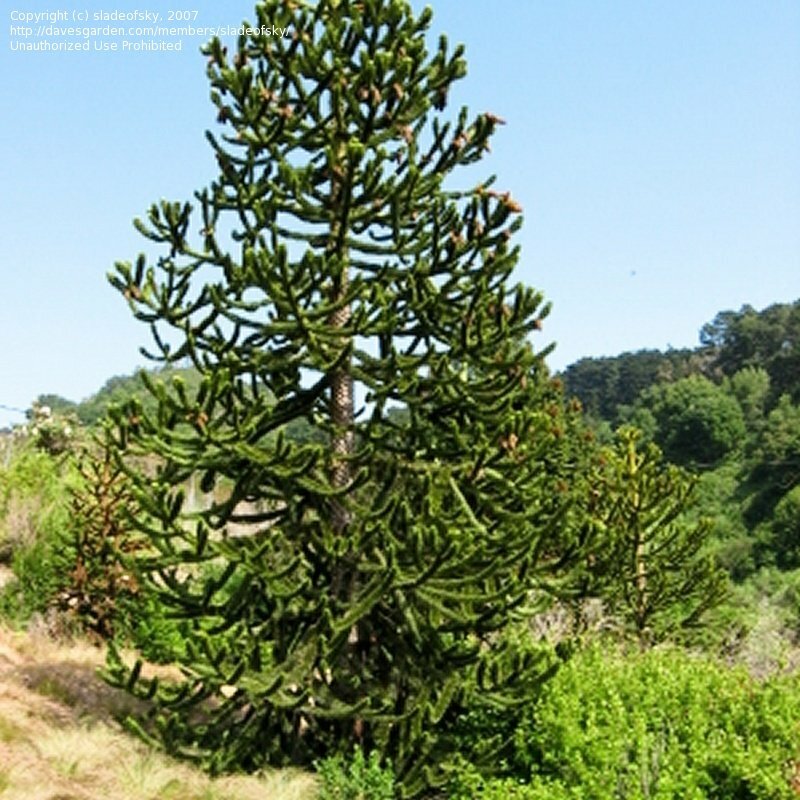 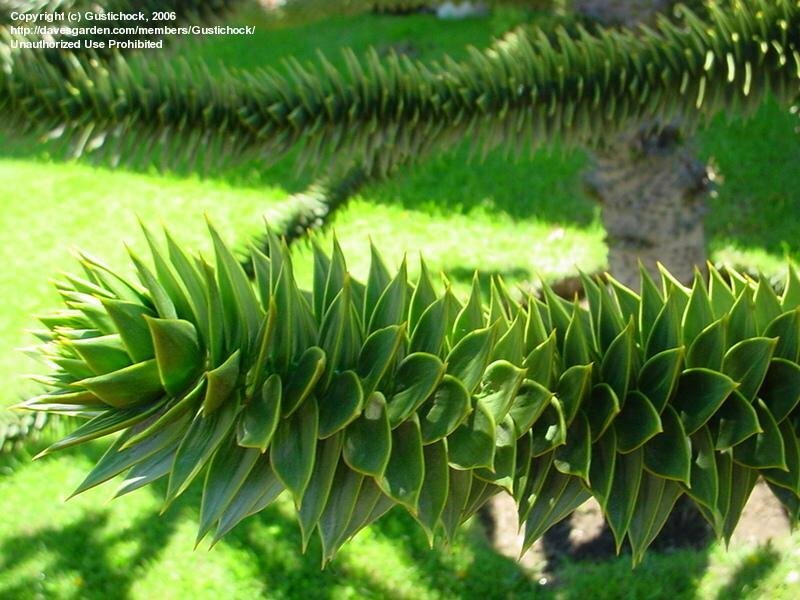 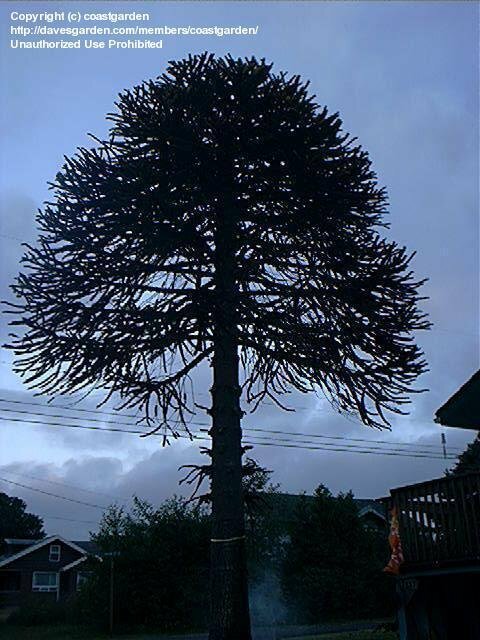 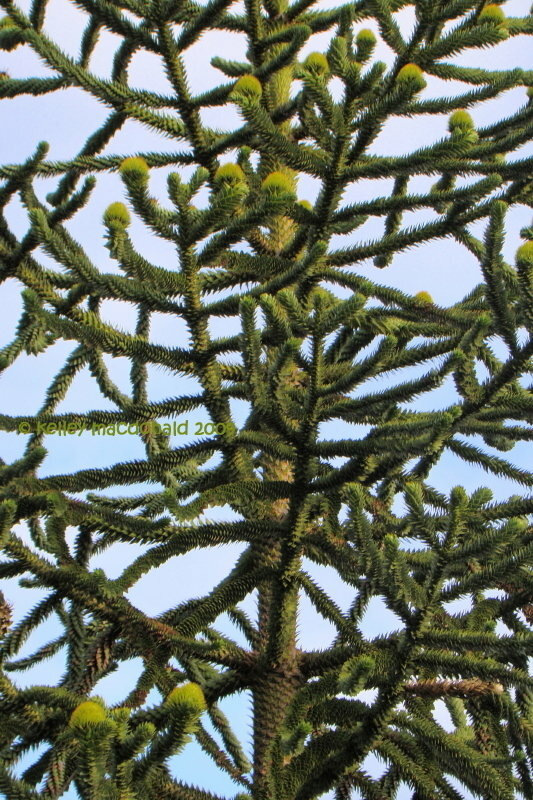 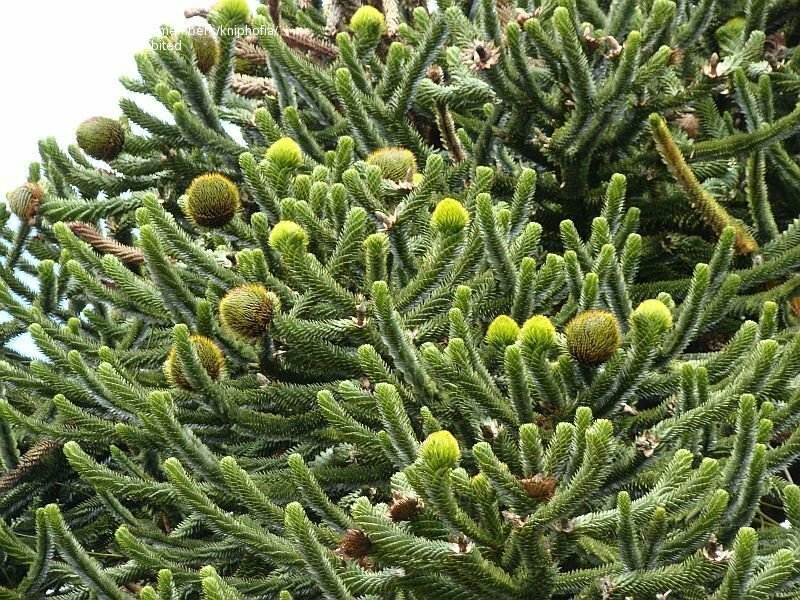 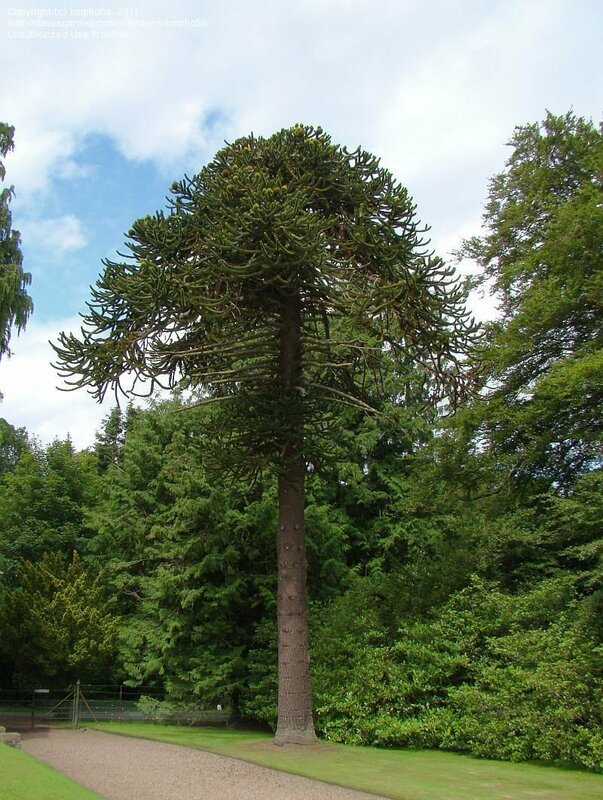 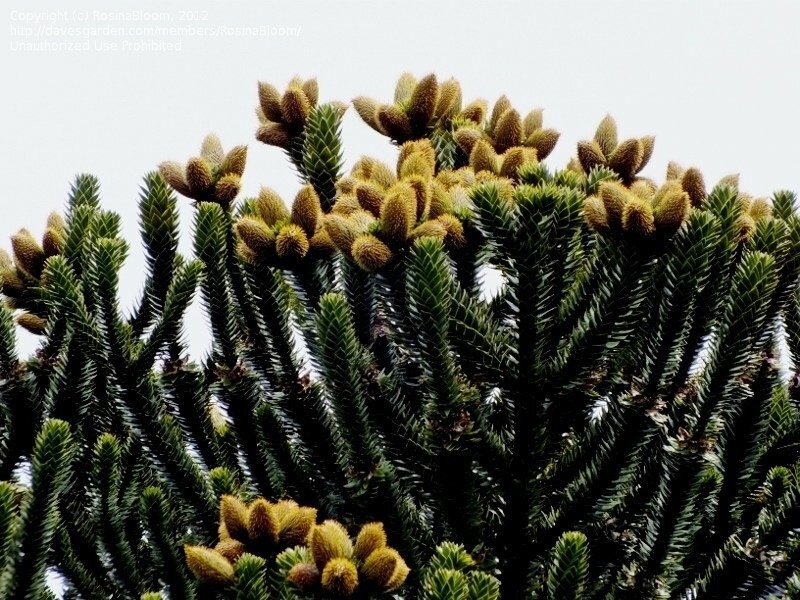 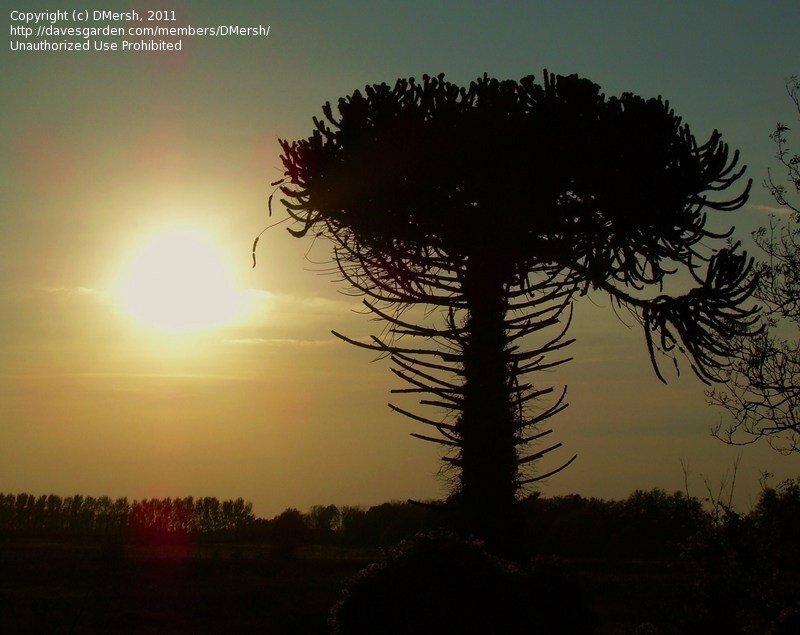 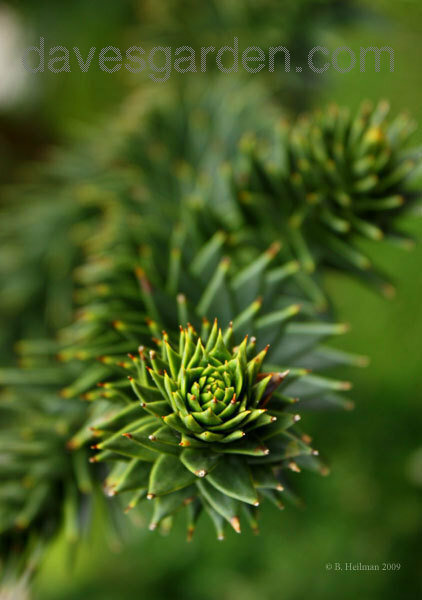 Tandil is a beautiful city where Araucaria araucana and Araucaria angustifolia co-exist without a problem. 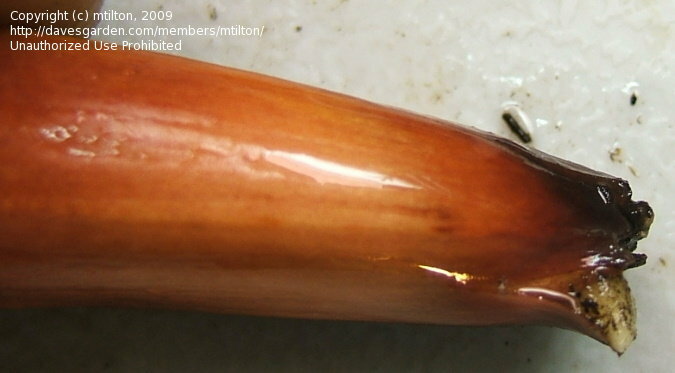 January 2007. 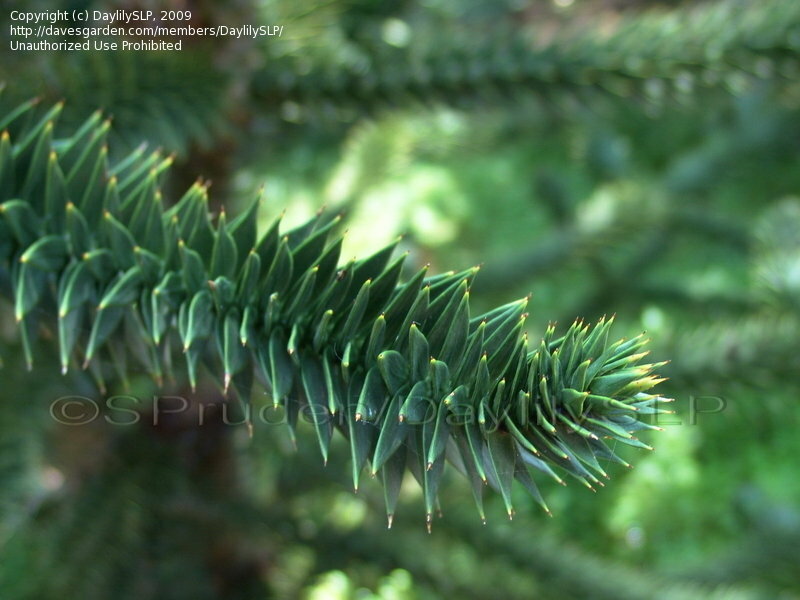 The photo was made in Dendrarium (Sochi botanical garden) in the middle of March, 1998. 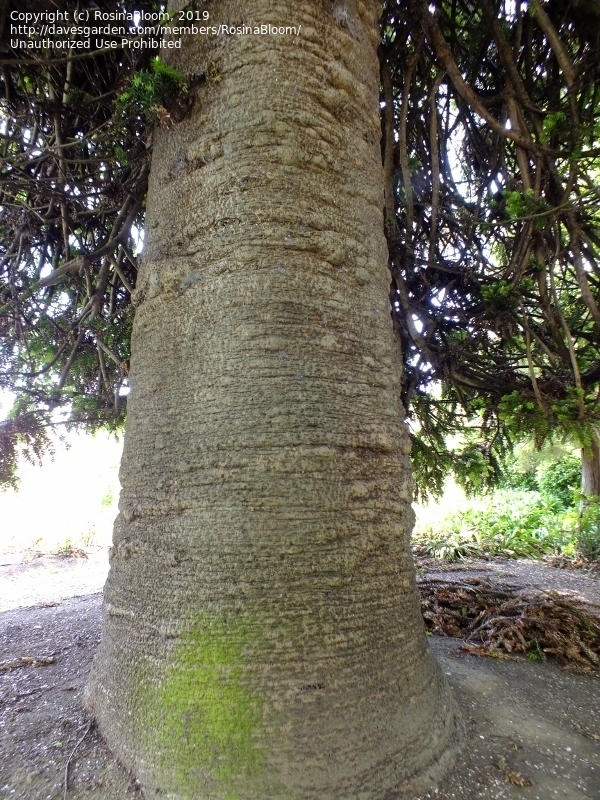 A female tree growing at UC Berkeley Botanical gardens in California. 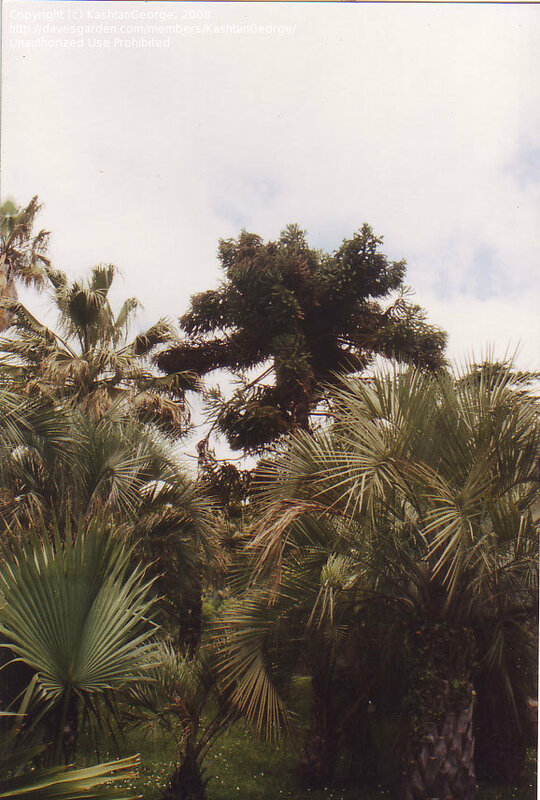 In the foreground that is Nassella laevissimae, a grass with great cowlicks. 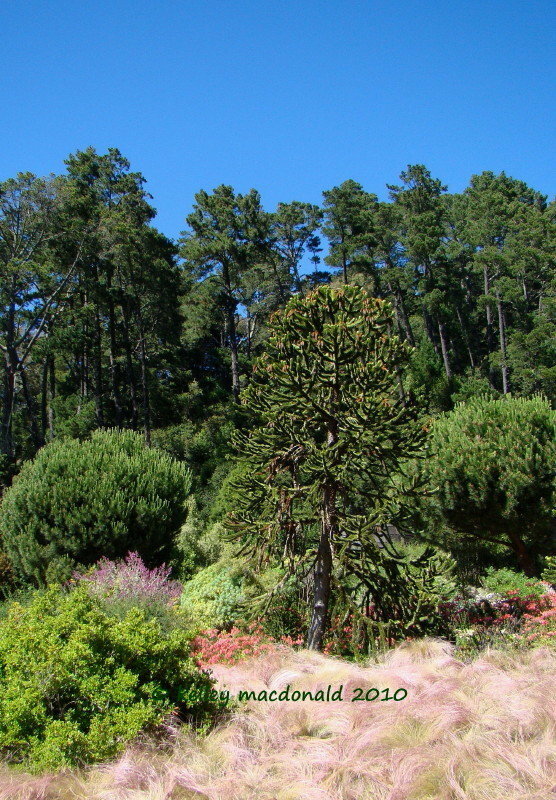 University of California Botanical Garden at Berkeley in California. 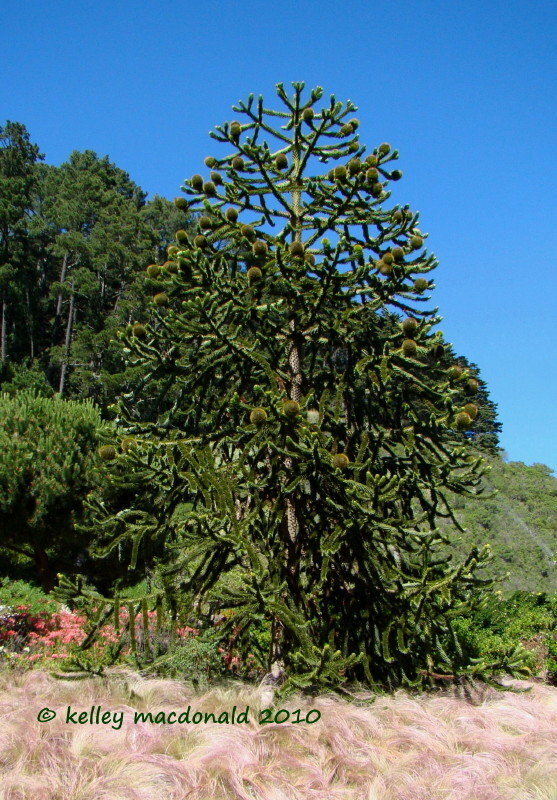 Male tree growing at the UC Berkeley Botanical gardens in California. 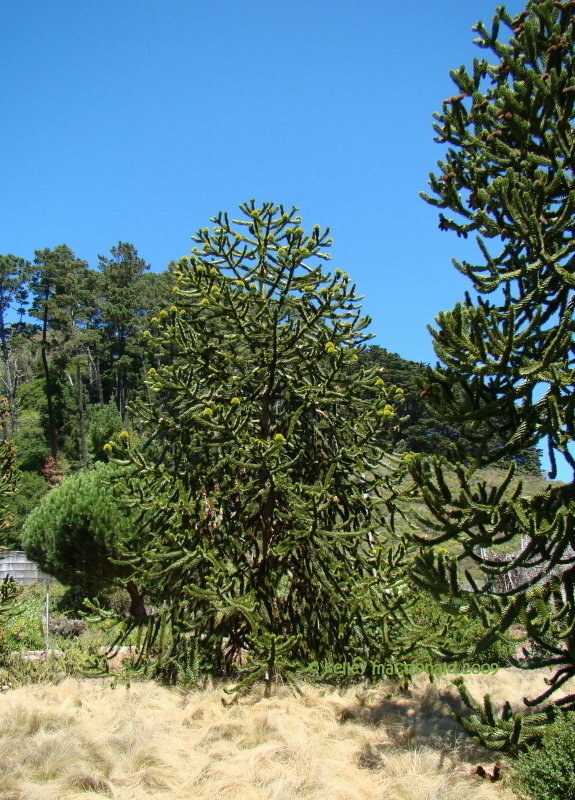 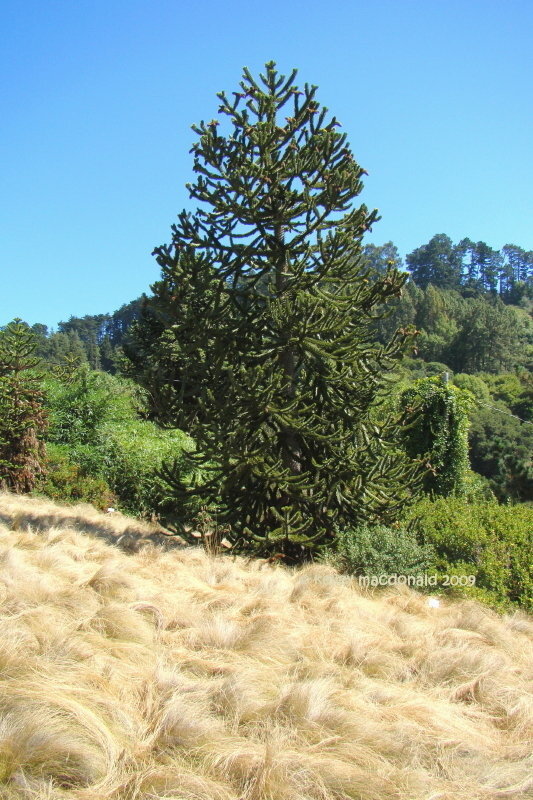 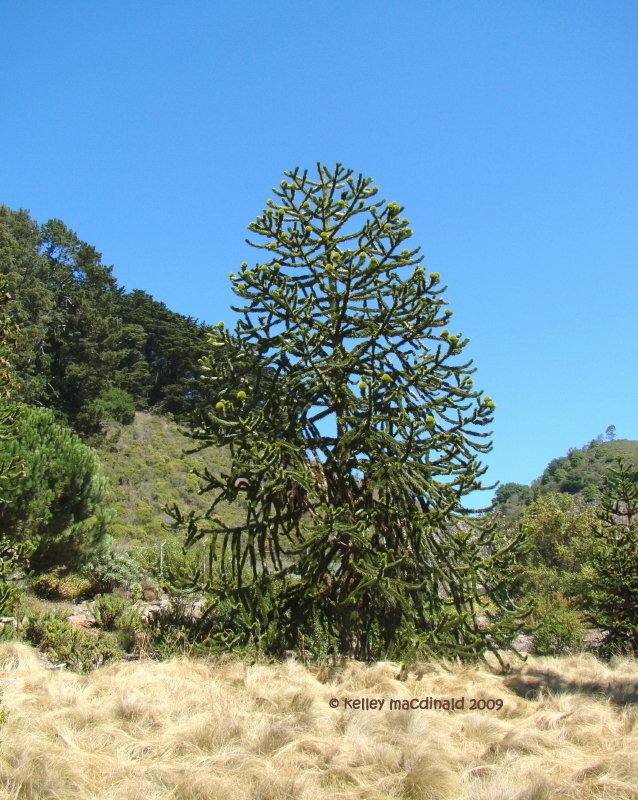 A male tree growing at UC Berkeley Botanical Gardens in California surrounded by summer dry Nassella laevissima grass. 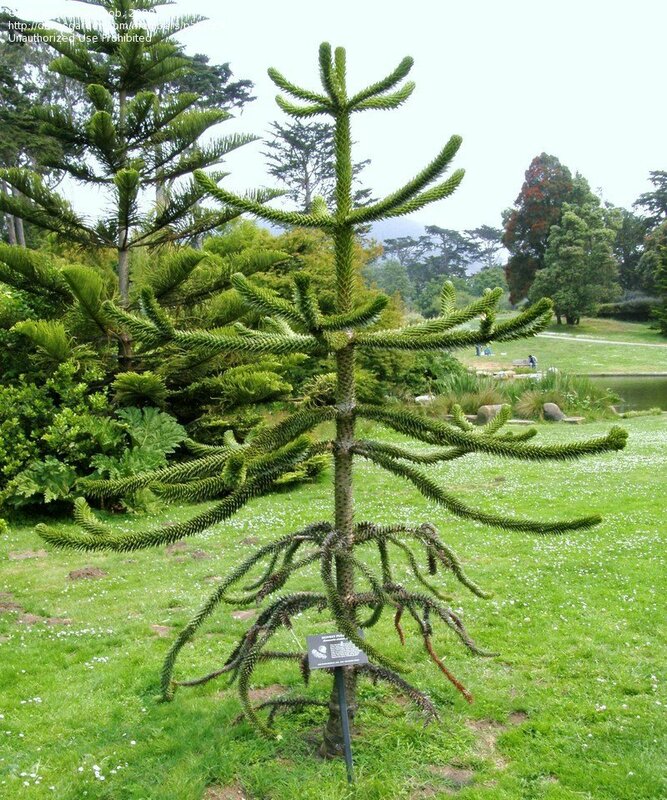 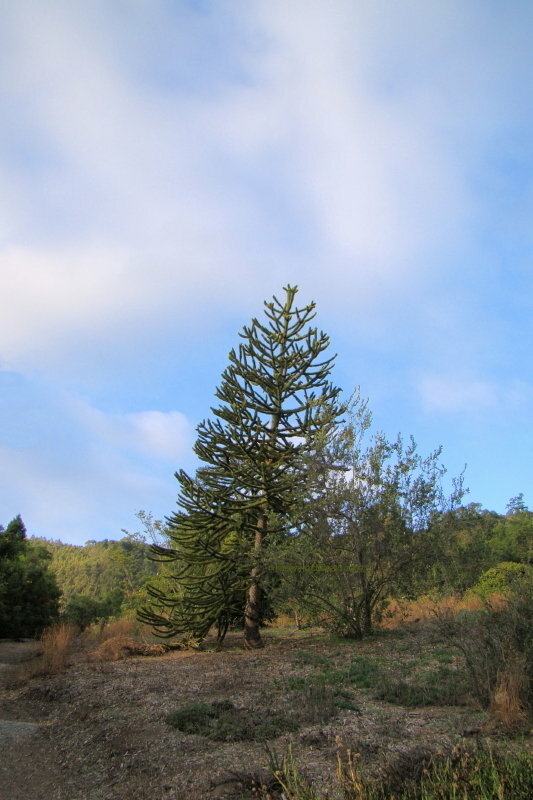 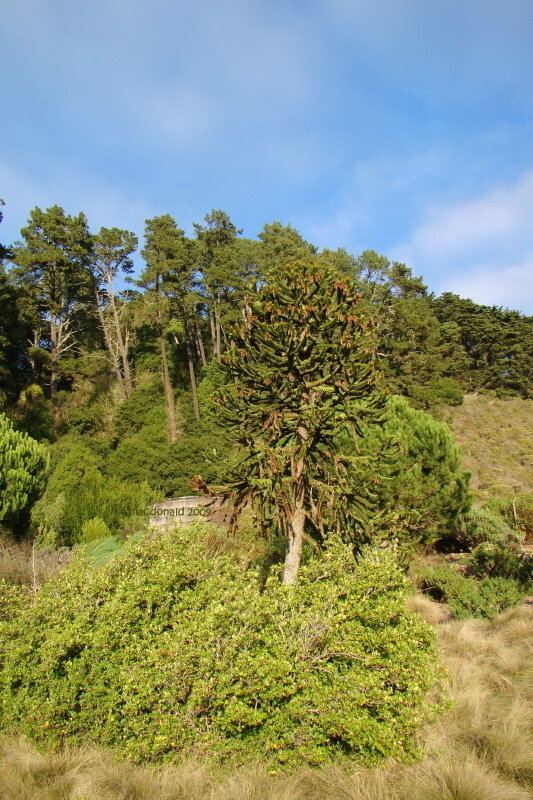 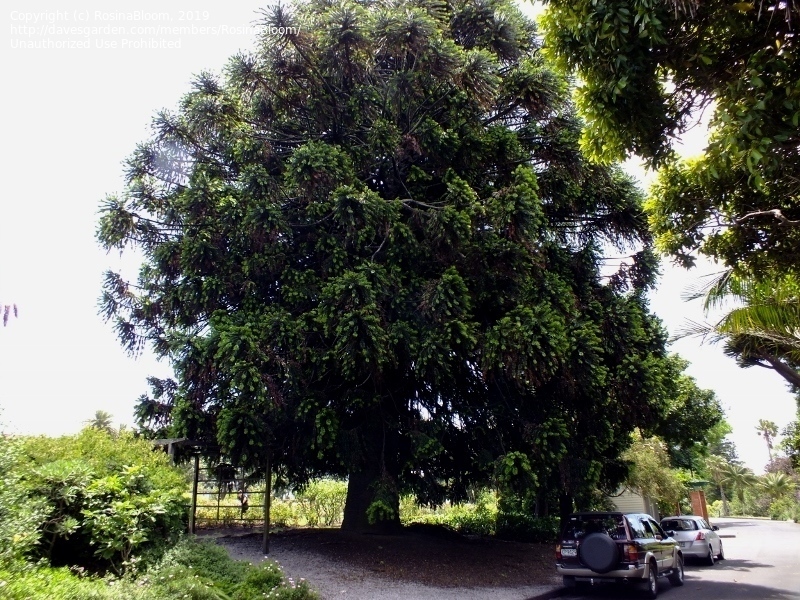 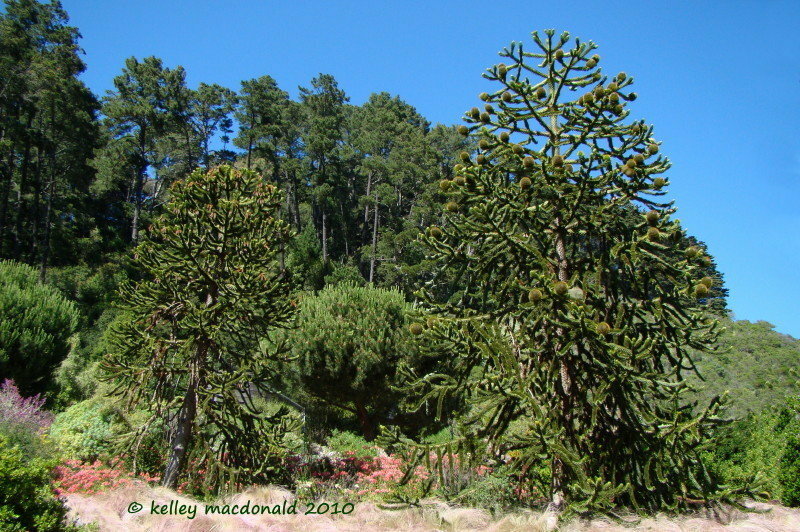 A male tree growing at UC Berkeley Botanical Gardens in California. 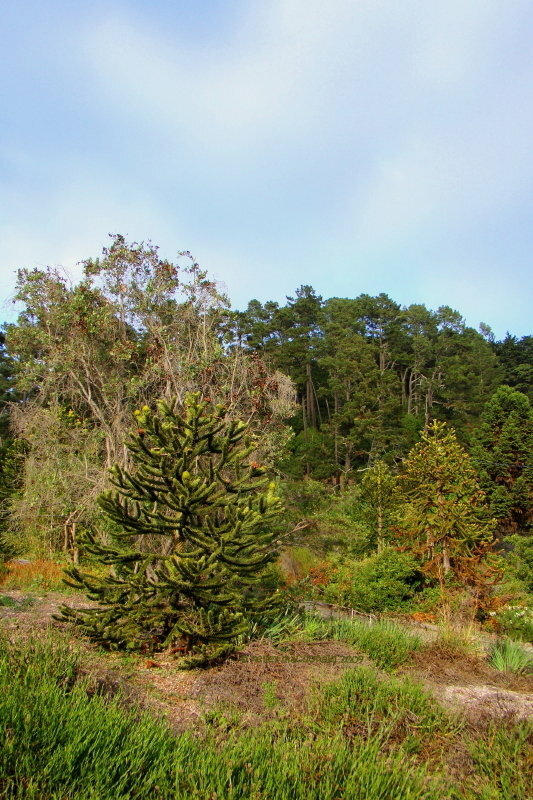 A female tree growing at UC Berkeley Botanical gardens in California. 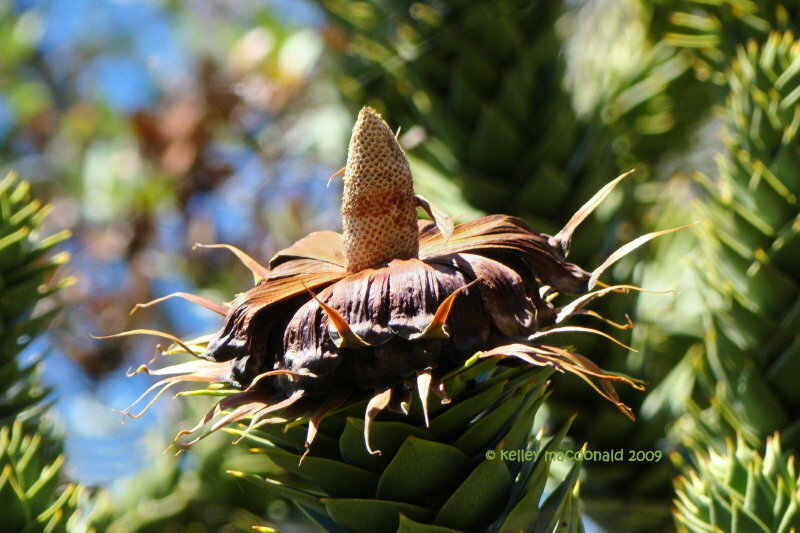 A mature female cone spreading its seed. 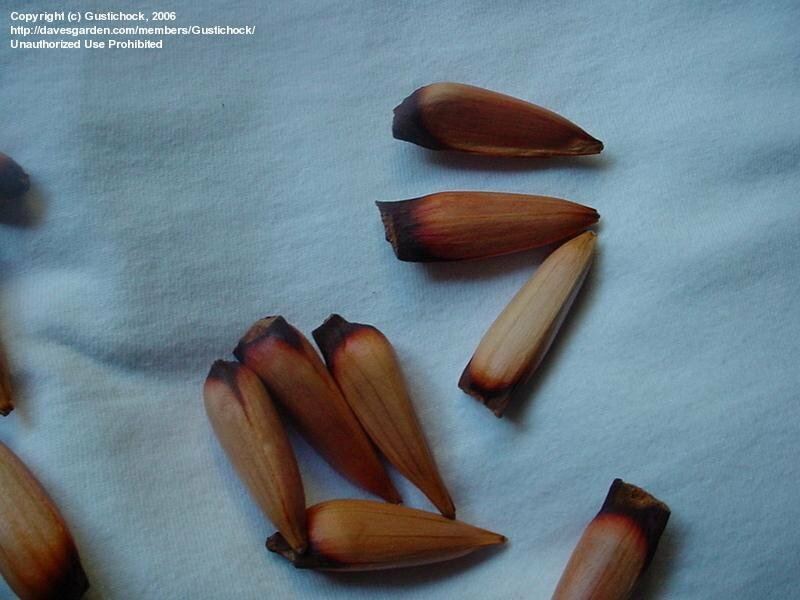 The seed is edible. 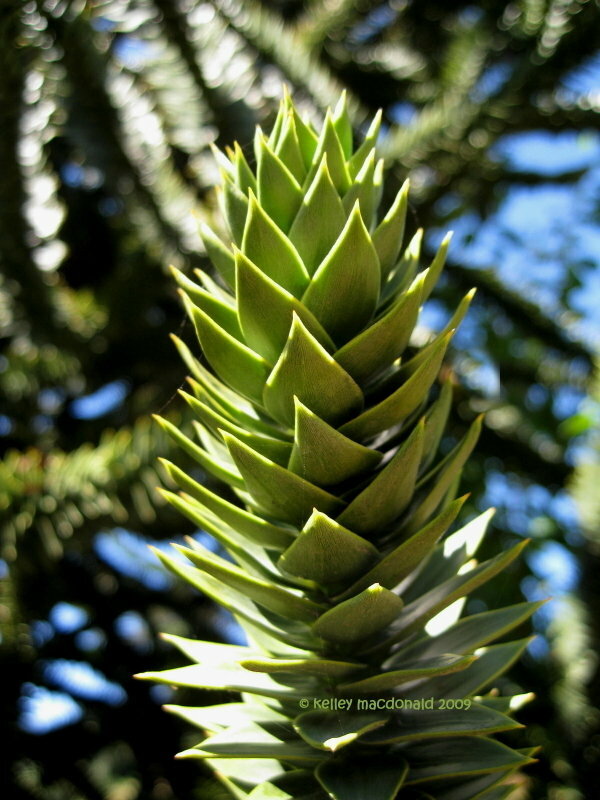 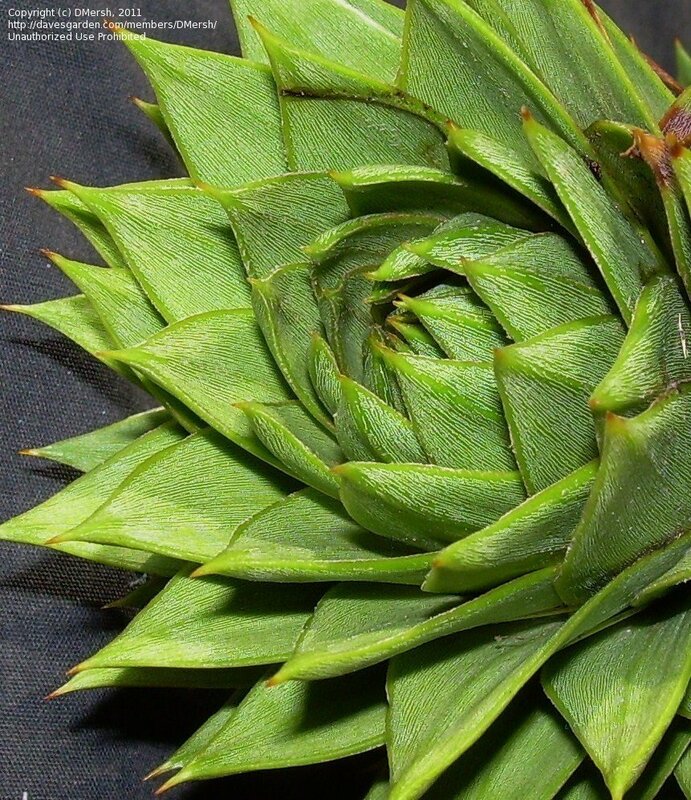 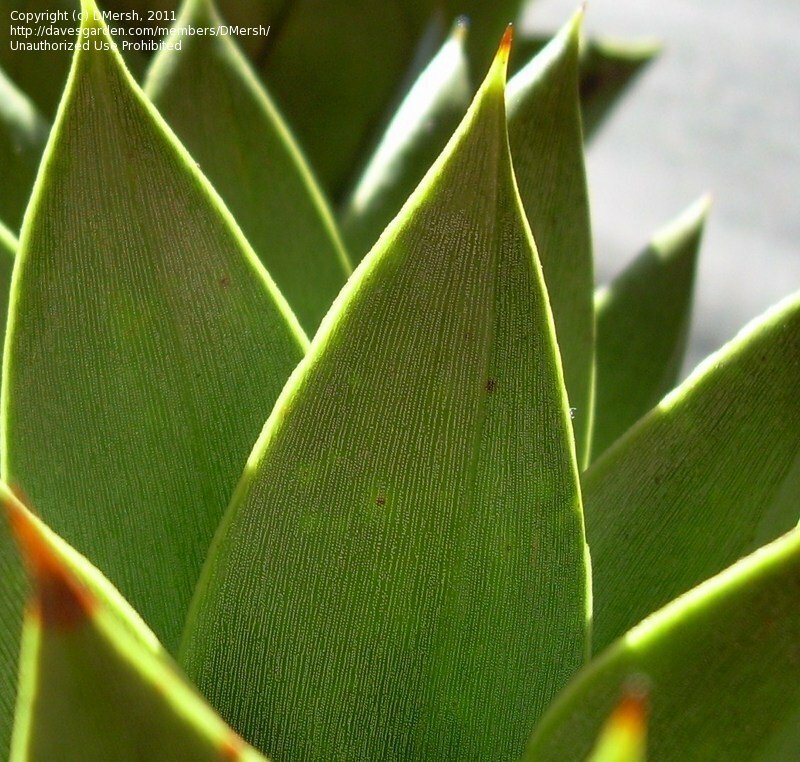 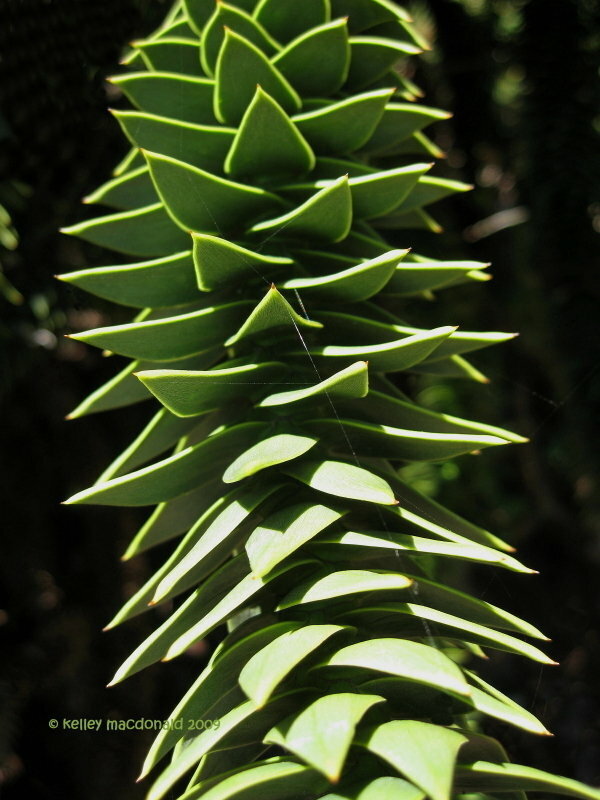 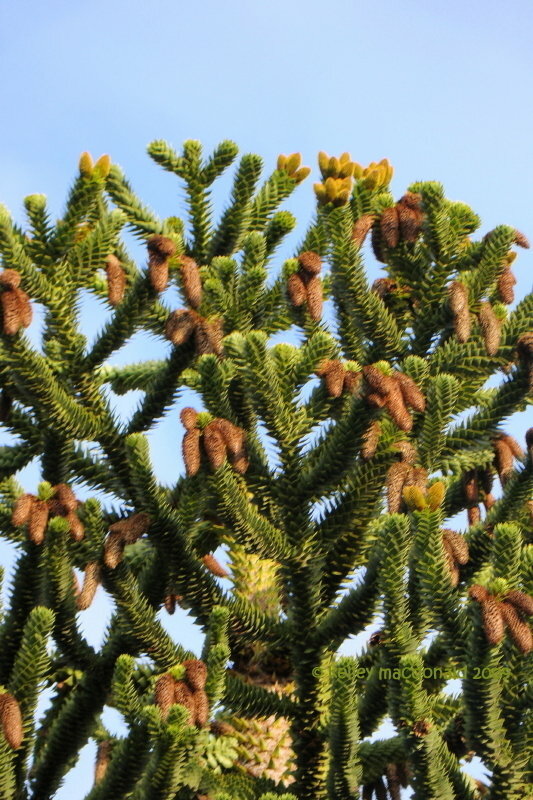 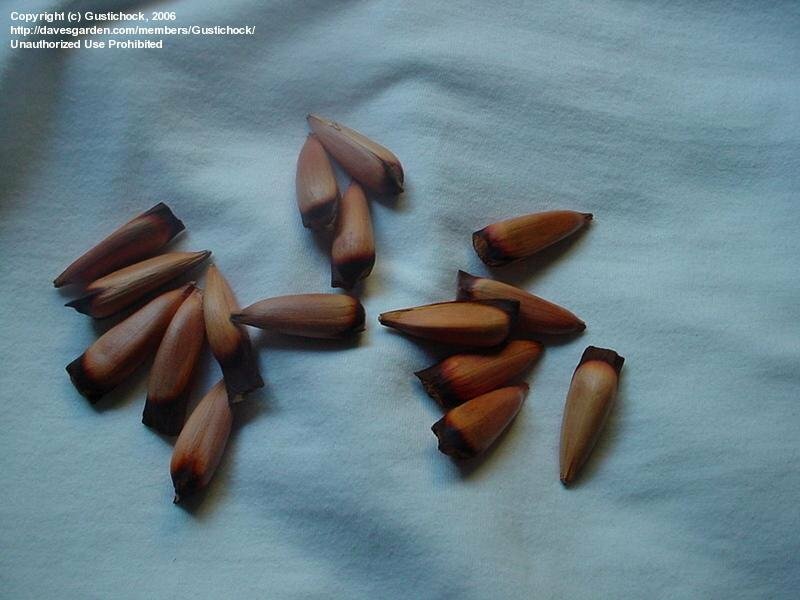 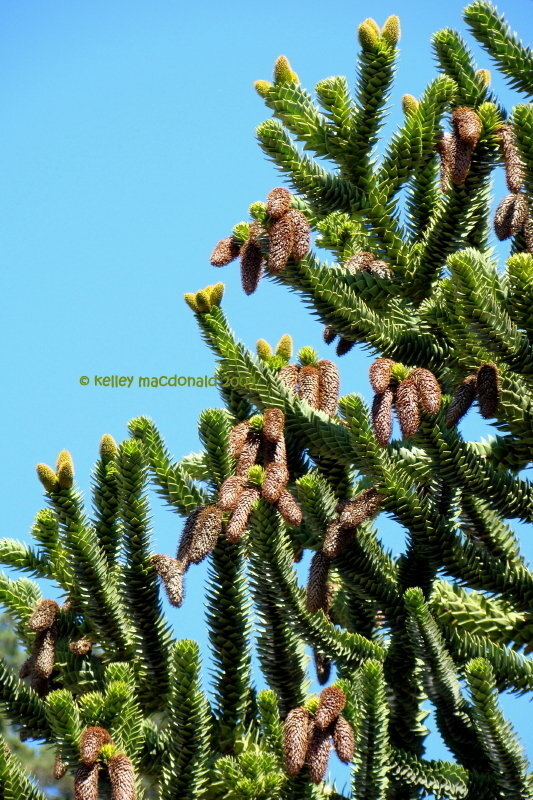 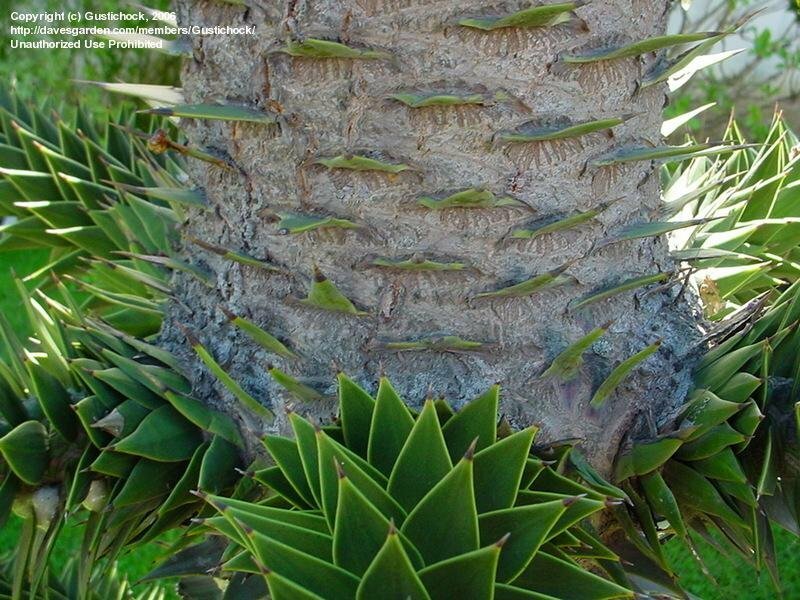 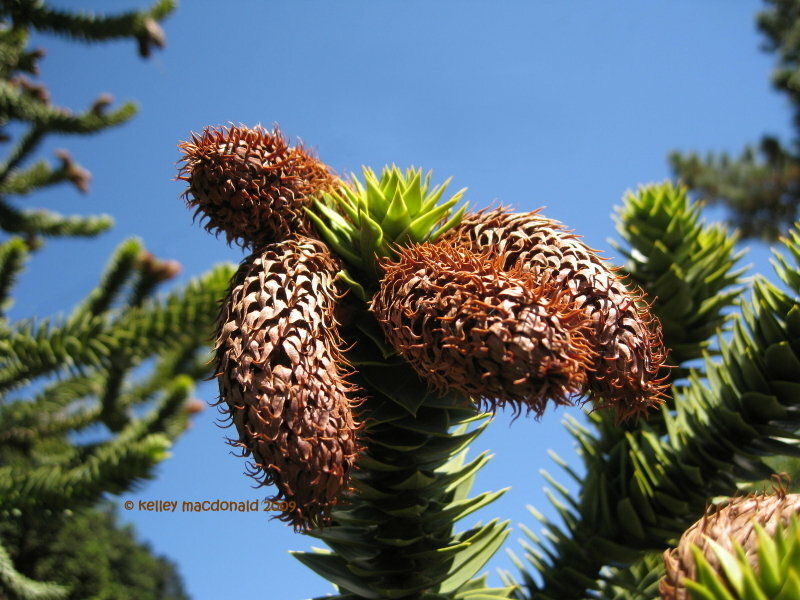 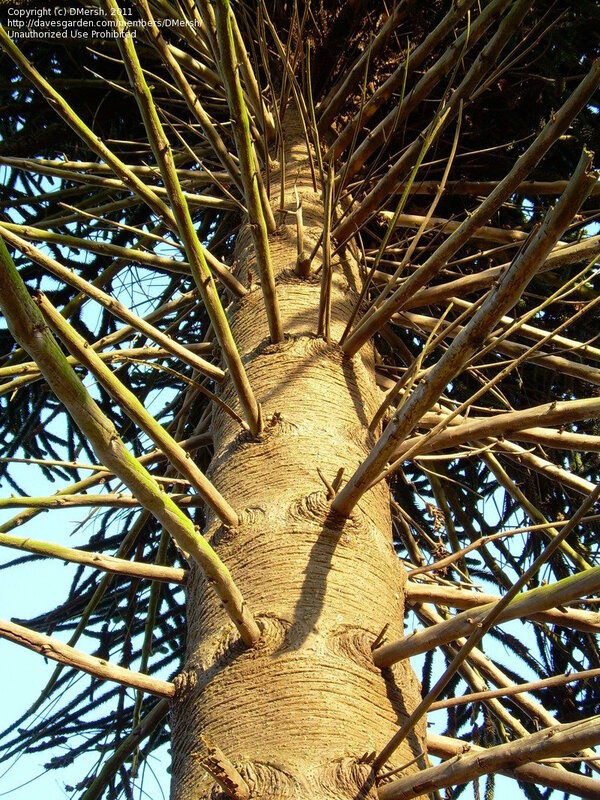 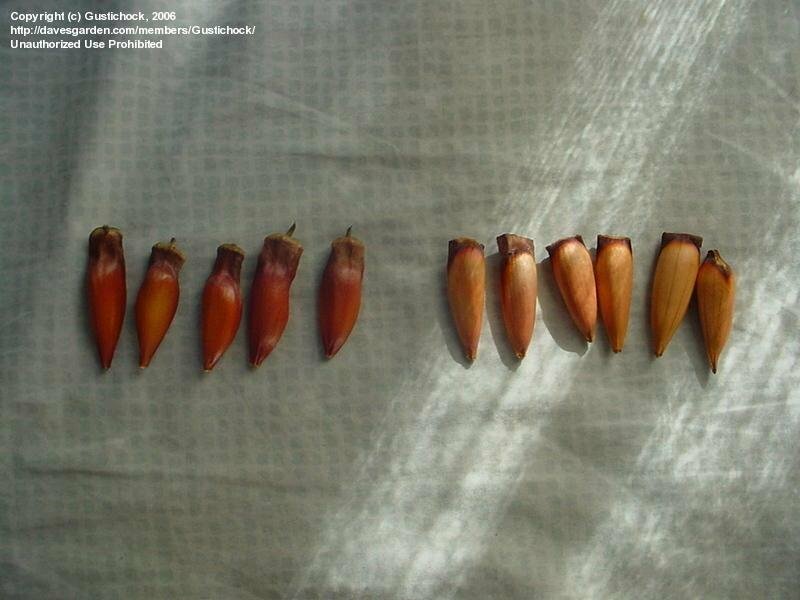 A female cone produces about 200 seeds per cone 18 months after pollination on a tree that is at least 30 to 40 years old. 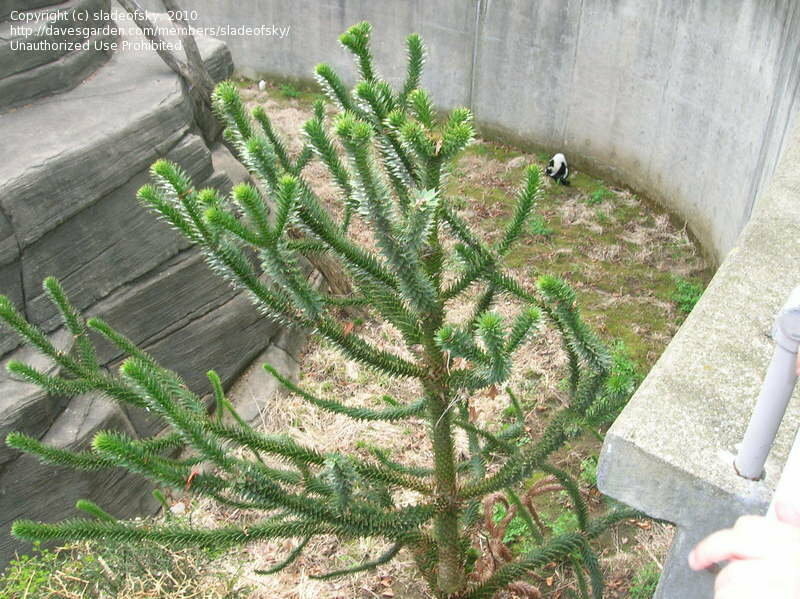 This tree has survived for years in Zone 6 at the Louisville Zoo, taking temperatures as low as -20 F, probably due to the protection it receives from the high wall beside it. 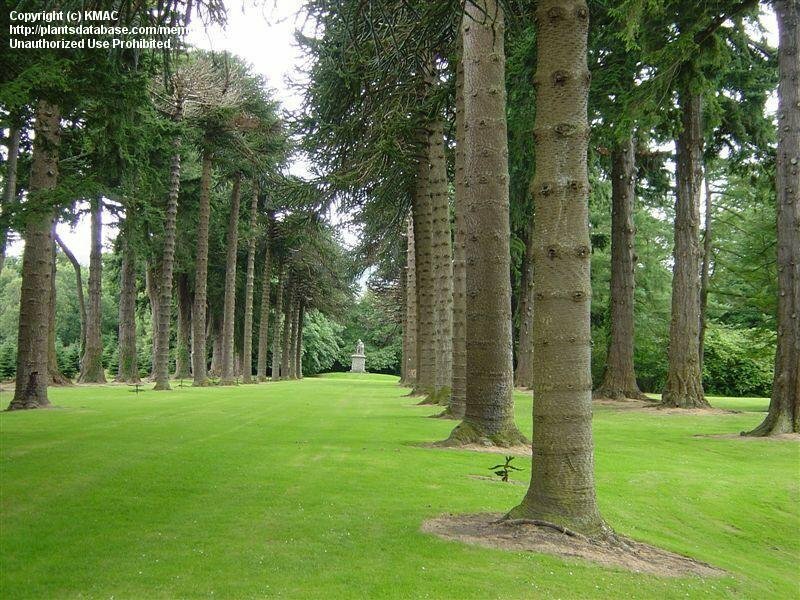 in Perth cemetary, Scotland, they seem to really thrive here in the cool, clean air.